Stephen’s output encompasses a remarkable diversity of themes, from science and nature, to history and human affairs, to sports and drama, but he never seems to tackle the simple subjects. 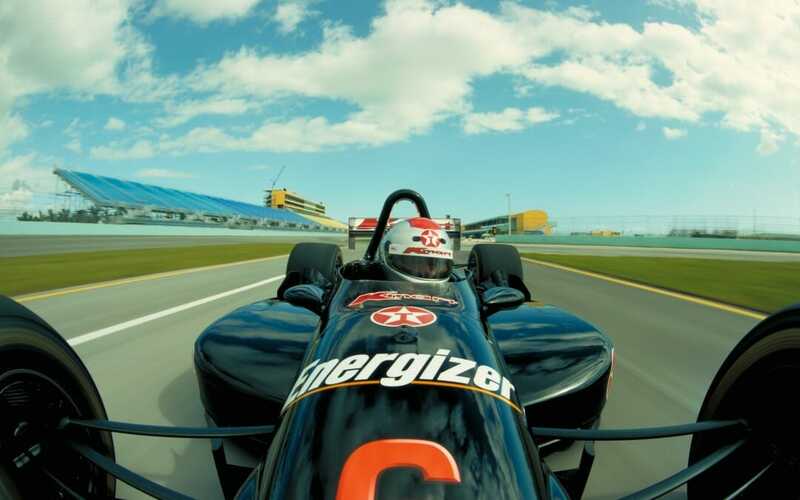 This Ottawa-born filmmaker has put audiences into the cockpit of a screamingly fast Indy car (Super Speedway) and into a fighter jet (Fighter Pilot) and he’s pioneered production in the revolutionary IMAX 3D medium. He is also one of a relatively small number of human beings privileged to have traveled to the abyssal depths of the ocean—first, to film the wreck site of the Titanic for Titanica (1991), and then to the Mid Ocean Ridge to tell the story of the discovery and scientific exploration of hydrothermal vents in Volcanoes of the Deep Sea (2003). In the challenging field of IMAX filmmaking, Stephen has set himself apart—demonstrating a stellar ability to marry an independent creative vision with the capacity to manage the opportunities and risks of using the world’s largest and most expensive film format (the “15/70” format specific to the IMAX® system). Virtually every project he has undertaken has also involved the invention or harnessing of some remarkable new innovation in technology or filming technique: from filming birds in flight, to mounting an IMAX camera on a steam locomotive or an Indy car; from integrating high-powered HMI cinema lights into deep sea submersibles, to collaborating with leading animators to shape sequences using the revolutionary SANDDE stereo drawing and animation system; or bringing archival 19th-century stereo glass-plate photographs to life on the IMAX screen. Stephen has been recognized with important career honours and his films have earned a host of awards around the world. Stephen recently directed The Trolley (2018), a feature for IMAX® theaters that propels audiences on a globe-spanning journey to explore the extraordinary influence of streetcars and electrified rail on our urbanized world–the film had its World Premiere as a special IMAX presentation at Hot Docs, Toronto (May 2017). Stephen also directed Aircraft Carrier 3D(2017), a giant screen experience focusing on the world of naval power and the astounding activity and air operations aboard a giant Nimitz-class aircraft carrier. Stephen is currently at work on several new projects. Among them, Train Time (working title), a kinetic rail journey across North America, and Secrets of the Universe (working title), a film centered around international research into sub-atomic worlds that is now unfolding at the giant hadron supercollider at CERN. The Secrets of the Universe project has received major funding from the National Science Foundation. 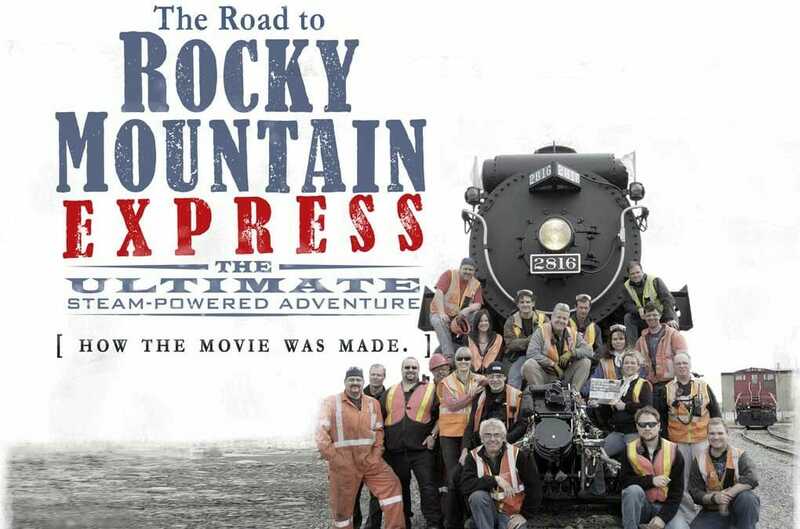 In 2011, Stephen completed Rocky Mountain Express a film that follows the challenges of building Canada’s first transcontinental railway in the age of steam. The film was the first rail-themed film ever created for the giant screen. 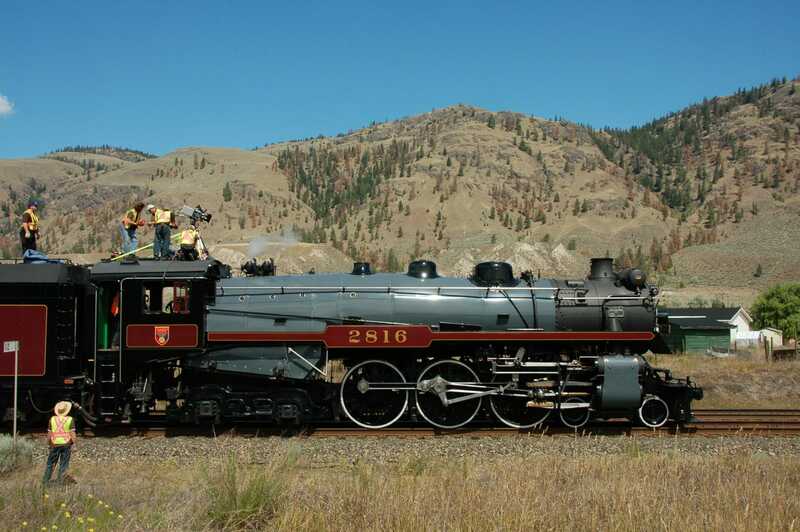 The filmmaker took on the burden of funding the project, but secured major cooperation for the project from the Canadian Pacific Railway (CPR) which allowed him and his team unprecedented access to the CPR’s restored “2816” steam locomotive and mainline track over several seasons. From Rocky Mountain Express (2011). Five years in production, Rocky Mountain Express had its Canadian premiere in 2011 at the Canadian Museum of History in Gatineau and its US premiere at the Chicago Museum of Science and Industry. The film received unprecedented accolades from audiences attending extended runs of the film in markets across North America as well as internationally in such locations as The Hague, Lucerne and Beijing. The film was awarded both Best Film and Best Cinematography by giant screen theaters from around the world in 2012. 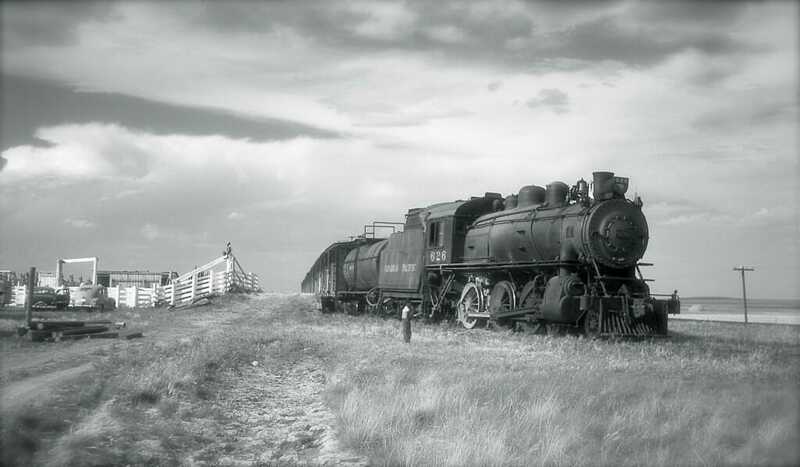 A young Stephen examines a locomotive in Southern Alberta (circa 1958). Photo: Colin Low. 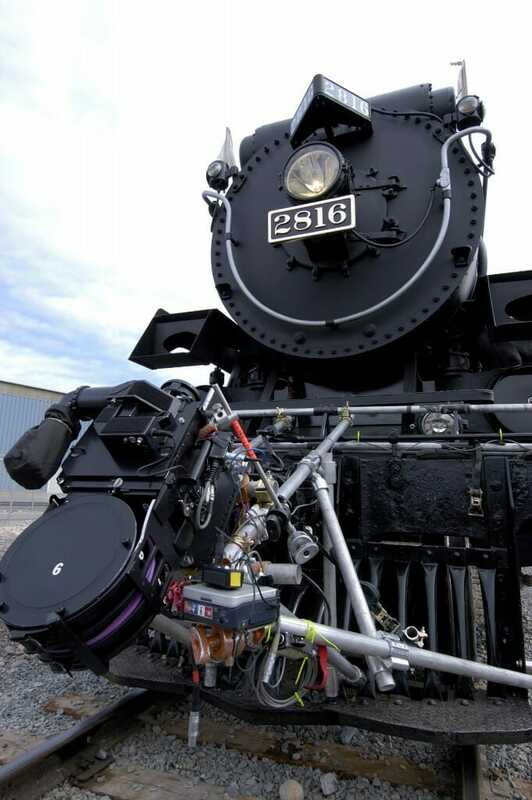 An early fascination for the young Low was sparked when his father brought him by streetcar to visit the rail yards in Montreal in the late-1950s when the last of the great steam locomotives were still in service. 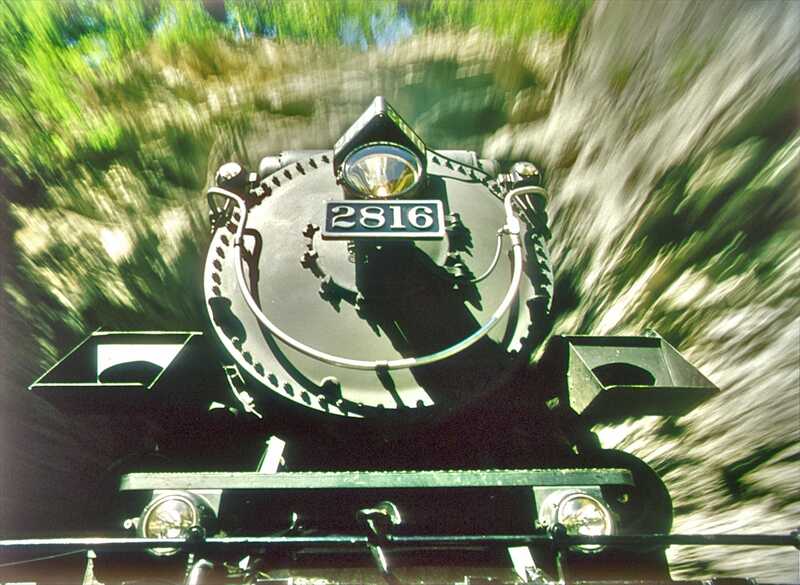 This early experience kindled a lifelong interest in trains that would culminate in Stephen’s production Rocky Mountain Express decades later. Stephen studied political science at Lakehead University in Thunder Bay, graduating in 1973. 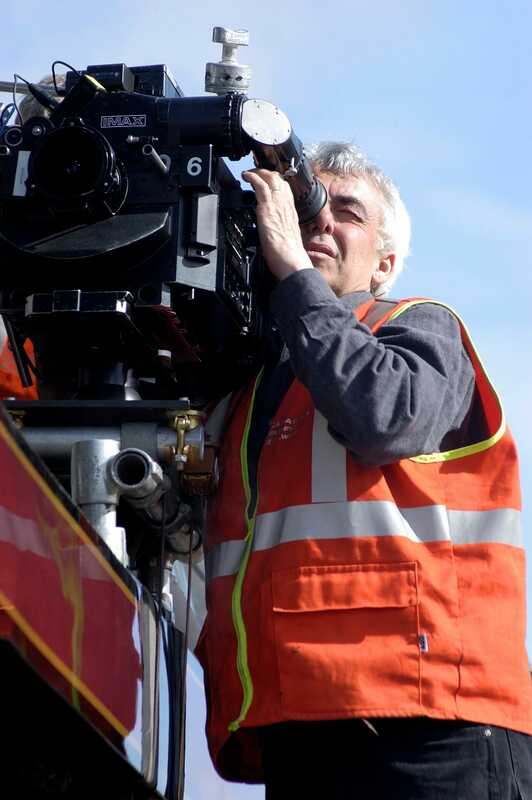 Out of University in the early 70s, he worked as a brakeman on freight trains on the Canadian Pacific Railway before ultimately turning his attention to the craft of filmmaking. Stephen began his film career in 1976, working as a cameraman and editor in Newfoundland. After a few years crewing on films in various capacities, he was itching to make one of his own. While sitting on a park bench, he read a story in The Globe and Mail about a new jet being developed by Canadair—the Challenger. 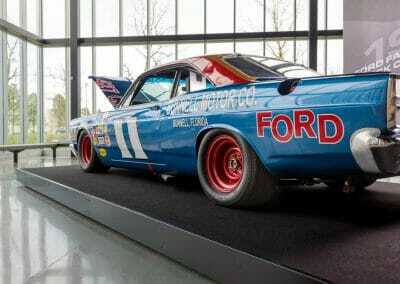 The company had sold 50 of them before a single plane had even been built. The young film enthusiast was taken by the story. He walked over to a payphone and told the company’s head of public relations that he wanted to make a documentary about the plane. “Come on over,” was the answer he got. The film, Challenger: An Industrial Romance, was released in 1980 and wound up winning numerous awards including the distinguished Grierson Award for achievement in documentary film. It was quite a debut. Once it was done, Roman Kroitor – one of the founders of IMAX Corporation – would get Stephen involved in his first giant-screen project as a researcher on IMAX Corporation’s early space shuttle film Hail Columbia! Stephen went on to write and direct many documentaries including such non-IMAX films as The Defender and The Train, and his work has won numerous awards worldwide. He also served as executive producer of The Human Race, an award-winning four-part television series on the environment. However, much of Stephen’s career has been taken up with the crafting of unique stories for the world’s largest cinema medium. STEPHEN LOW’S INTRODUCTION to the IMAX® medium dates back to as early as 1970, when the young Low and his father, filmmaker Colin Low, took thousands of 3D still photographs and blew them up on a large screen—a creative exercise on the way to the realization of some of the first 3D IMAX® films and technological innovations that would not come for another decade and a half. Stephen’s first working foray into the large format field was as a researcher on Hail Columbia! Soon afterwards, he directed his first IMAX® film, Skyward, for the Suntory Pavilion at the 1985 Tsukuba International Exposition in Japan. 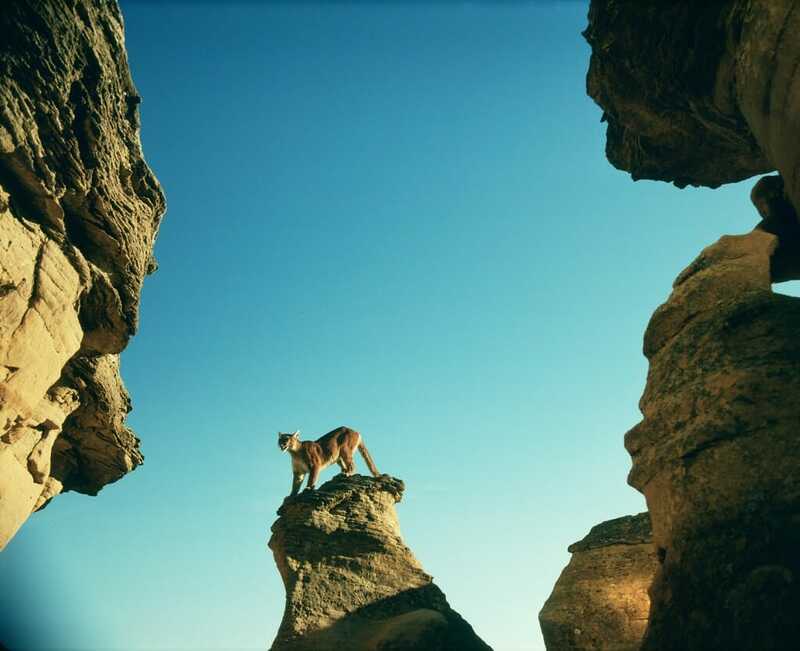 An image from the IMAX film Skyward (1985). The success of Skyward would lead to Stephen’s second IMAX® film for a Japanese sponsor. He managed to persuade the Chubu electric power company, one of Japan’s largest utilities, that rather than a film about their nuclear power installation, what they really wanted was a film about Canada’s national animal. For the production of Beavers, the filmmaker and his team hand-reared beavers in order to acclimate them to the bright lights and to the sound of the enormous IMAX camera, and cast each beaver according to their natural task inclination. Stephen served as underwater cameraman as well as writer and director on the project—the beginning of a career-long engagement with underwater photography and natural history filmmaking. Filmed in the Canadian Rockies and in Ontario, Beavers was crafted with lyricism and a touch of whimsy, going on to become a giant screen family favourite and one of the most popular IMAX films of all time. 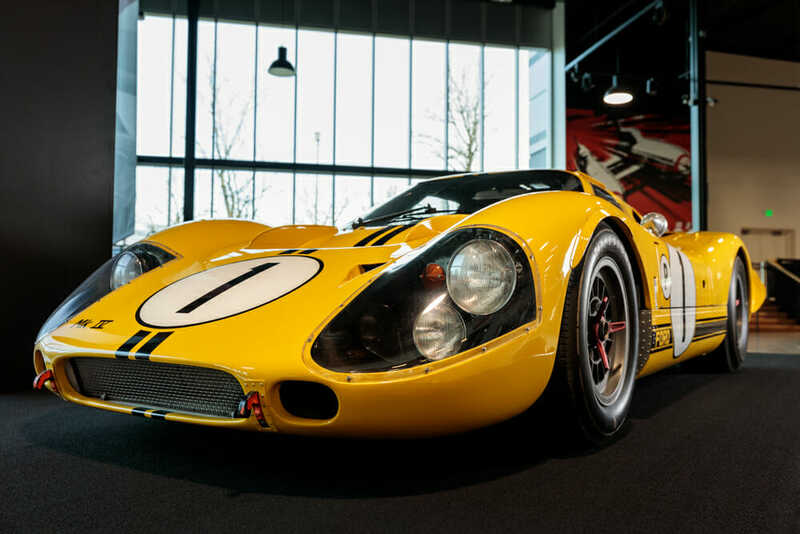 The film has remained in active exhibition in theatres for more than two decades and was voted into the IMAX Hall of Fame in 2004 by IMAX theaters from around the globe. 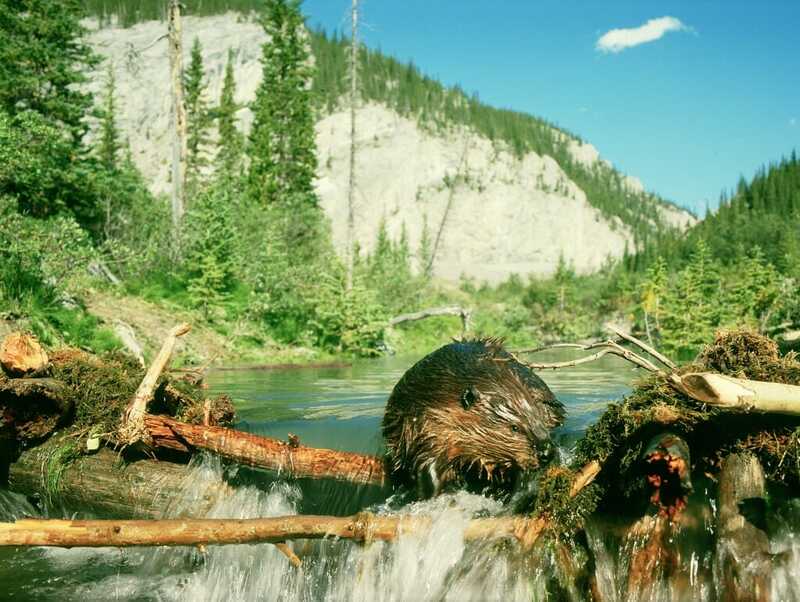 A frame from Beavers (1988), filmed in Kananaskis Country, Alberta. Stephen’s next film, once again made for Suntory, broke new ground technically and creatively. 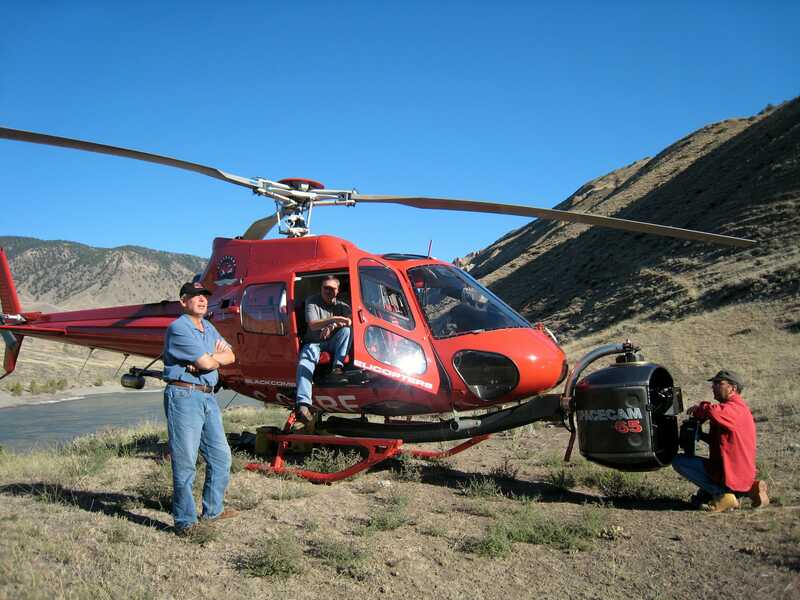 For The Last Buffalo (only the second 3D IMAX® film ever made) Stephen worked with Noel Archambault and Bill Shaw at Imax Corporation to develop a 3D beam-splitter camera system and rig, ultimately pushing them to their limit in the challenging terrain of the southern Alberta badlands. A poetic, immersive and surreal film without narration, The Last Buffalo delivers a strong environmental message. Produced for the Osaka ’90 Expo The Last Buffalo captures nature’s magic in the hoodoos and badlands of Southern Alberta. 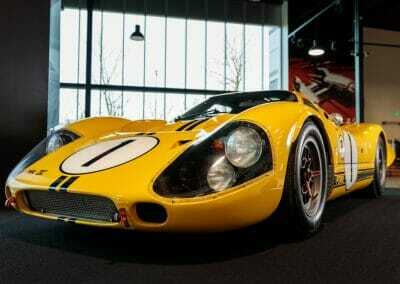 The most popular attraction at the fair, the film drew some 1,940,000 visitors during the six-month exhibition. The Last Buffalo went on to become an IMAX® classic. A moment from The Last Buffalo (1990). The next two films that Stephen produced and directed took him to sea, marking the start of an important new chapter in his career. Aquanaut was his ambitious first foray into drama, filmed almost entirely underwater, with Low once again acting as an underwater cameraman in addition to writing, directing and producing. 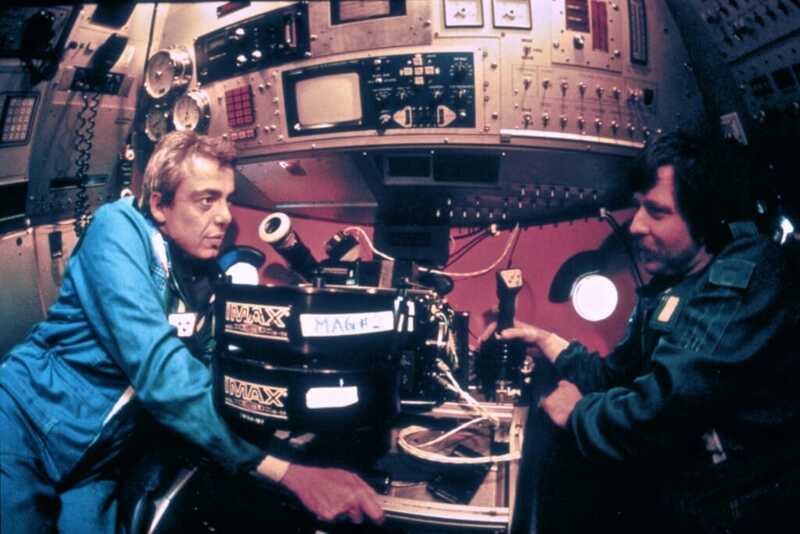 Behind the camera filming for Flight of the Aquanaut at a depth of 100 feet in the Atlantic. In 1992, he broke new ground with the feature-length IMAX® film, Titanica. Low added a new title to his resume—expedition leader—as he and his team were the first westerners to work with the P.P. Shirshov Institute of Oceanology and their MIR submarines following the fall of the Soviet Union. He worked with Deep Sea Power and Light to develop crucially powerful new lights for use in the deep ocean, enabling audiences to see the wreck of the Titanic truly for the first time. A Russian Mir submersible being launched off the deck of the research vessel Akademik Keldysh (a scene from Titanica). 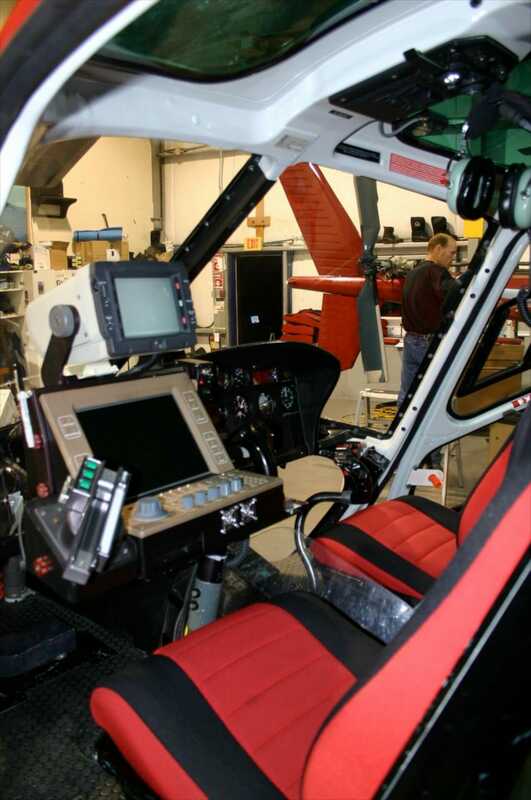 Inside Mir. Stephen Low and Russian pilot Evgeny “Genya” Cherniev. The IMAX® crew did 18 dives to the broken hulk, with Low, Paul Mockler and Ralph White filming from the twin Mir submersibles. The groundbreaking film documented the expedition and the wreck site and captured the scope and drama of this maritime tragedy, relating as well, the poignant story of Eva Hart, one of the last living survivors of the disaster. The scenes in Titanica would catch the eye of another filmmaker and be echoed in a future Hollywood epic of similar name. Above. 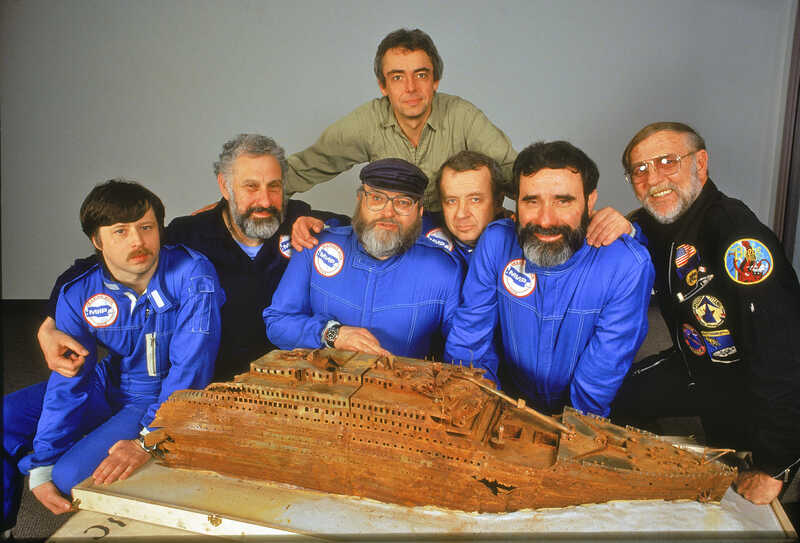 Members of the Titanica expedition pose before a model of the wreck of RMS Titanic. Left to right: Evgeny “Genya” Cherniev, Mir pilot; Lev Moskalev, biologist (P.P. Shirshov Institute); Steve Blasco, marine geologist (Bedford Institute, Canada); Anatoly Sagalevitch, Head of manned submersibles (P.P. Shirshov Institute); Emory Kristof, photographer (National Geographic Magazine); Ralph White, submersible cameraman and navigator; Stephen Low, filmmaker (top). 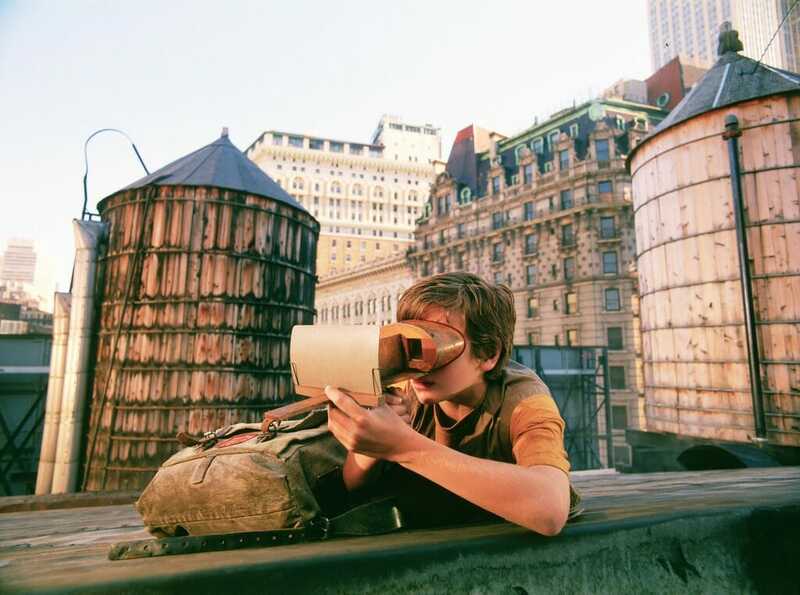 A scene from the 3D drama Across the Sea of Time (1995) featuring Peter Reznick as a young Russian stowaway in New York City. Stephen’s next two films were made for Sony New Technologies and Columbia Pictures. 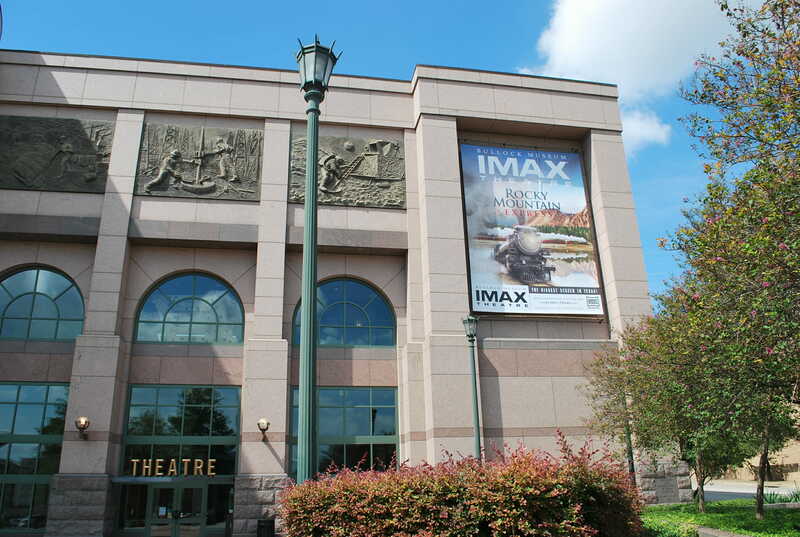 The Last Buffalo had caught Hollywood’s eye, and they came to Low to make a film to launch the new flagship Sony IMAX® 3D Theater at Lincoln Center in New York. Stephen faced the multiple challenges of making a drama in IMAX® 3D (not the least of which was financial) by returning to an early interest in 3D still photographs. To make Across the Sea of Time, he wove together century-old glass plate negative stereo photographs of New York City with the fictional story of a young stowaway in search of his family roots in modern New York. The result was a haunting and evocative film with a humanity and emotional quality rarely seen in large format films. Staring down the barrel. 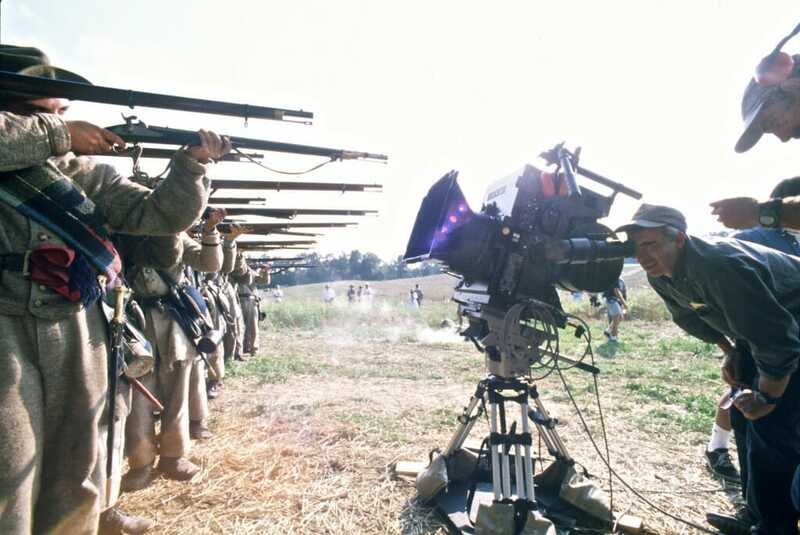 Stephen filming a Civil War re-enactment for Mark Twain’s America. Excited by the beauty and potential of the thousands of turn of the century stereographs he had seen while researching Across the Sea of Time, Stephen used a similar combination of live action and archival photographs for a second IMAX® 3D film produced for Sony Pictures. Narrated by Ann Bancroft, Mark Twain’s America is a rich and poignant recounting of the life of America’s great humorist, author, newspaperman and stage personality. 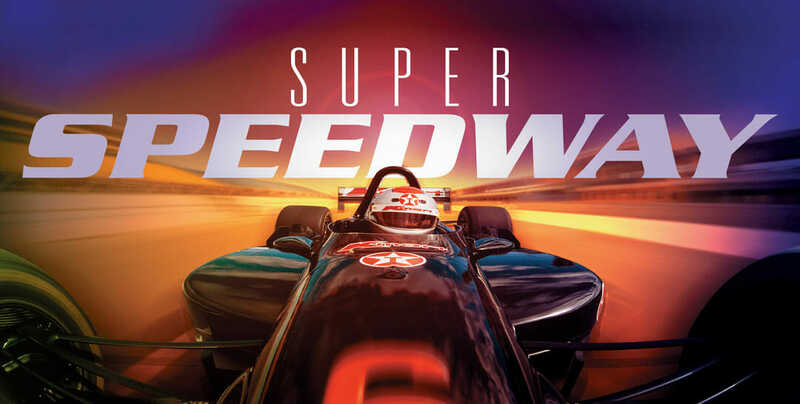 In 1997 Stephen capitalized on his life-long love of open-wheel racing with the release of Super Speedway featuring Michael and Mario Andretti. Once again, the filmmaker’s distinctive style was evident: the film blends technology (in both the filmmaking and the content) with creative storytelling, character development, and humour. 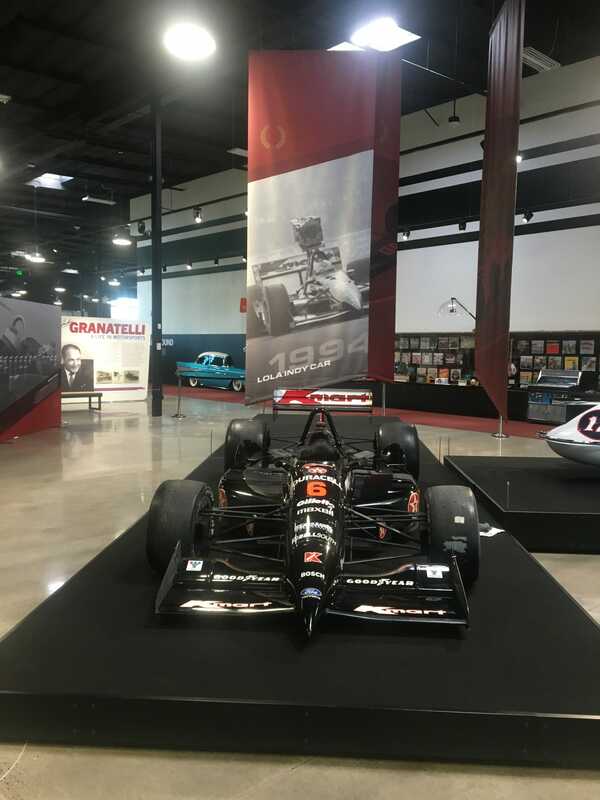 Stephen and his team developed camera-mounting systems that enabled Mario Andretti to drive an Indy car equipped with a 50lb IMAX® camera at over 230mph alongside the full field of Indy competitors. 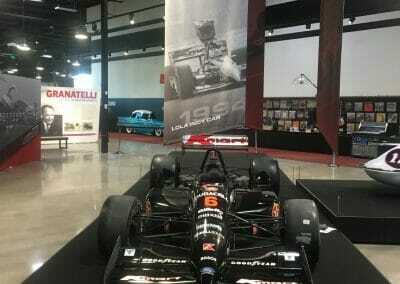 Filmed at events across North America, including the Toronto Molson Indy, the film would be narrated by Newman-Haas racing team owner and celebrated actor, Paul Newman. 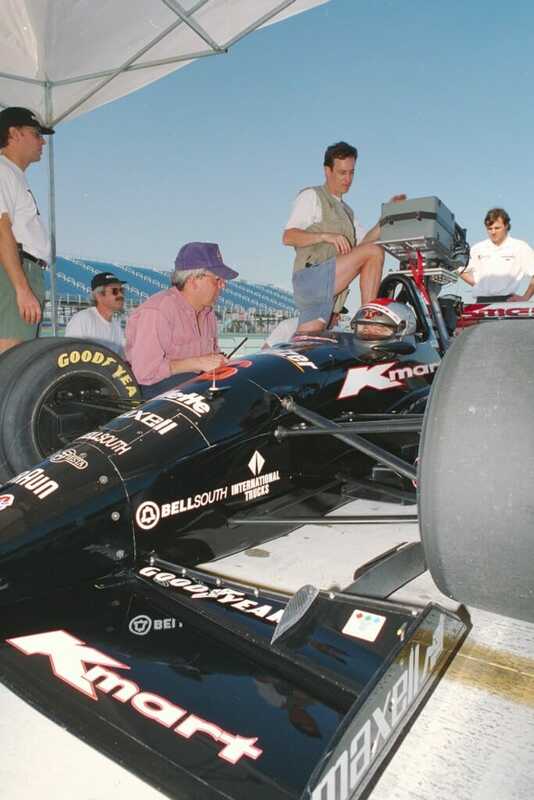 Stephen confers with Mario Andretti during a camera re-load for Super Speedway. Over the years, Stephen has maintained an interest in deep ocean exploration. On his expedition to the Titanic, he had become passionate about the deep, and the belief that rusty pieces of human history were actually the least interesting part of the isolated world at the bottom of the sea. In 1998 he turned his attention to a project that would consume his attention for the next five years. With the collaboration of Rutgers University in New Jersey and major funding from the National Science Foundation, the filmmaker and his team equipped the US deep sea submersible Alvin with high-powered lights and an IMAX camera and began filming hydrothermal vent sites located at abyssal depths on the planet’s Mid-Ocean Ridge. Volcanoes of the Deep Sea, explores the mystery of strange fossil-like hexagonal patterns on the ocean floor and the implications of sulfur-based (chemosynthetic) ecosystems thriving along the planet’s tectonically active ridge system. Behind the camera on the deck of RV Atlantis (Woods Hole Oceanographic Institution). Newly installed high-powered lights are tested on the submersible Alvin. 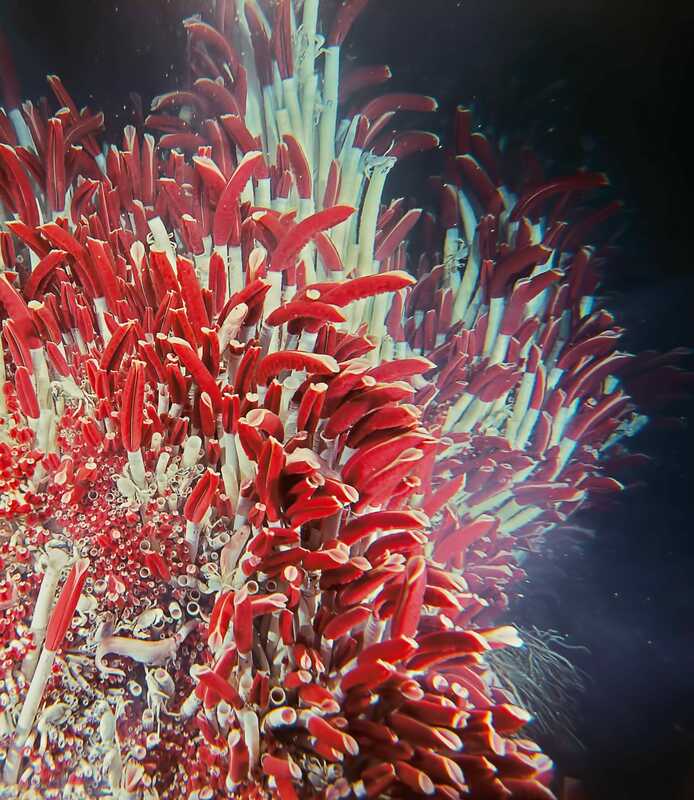 Giant tube worms growing on a hydrothermal vent in the deep Pacific. (Scene from Volcanoes of the Deep Sea. 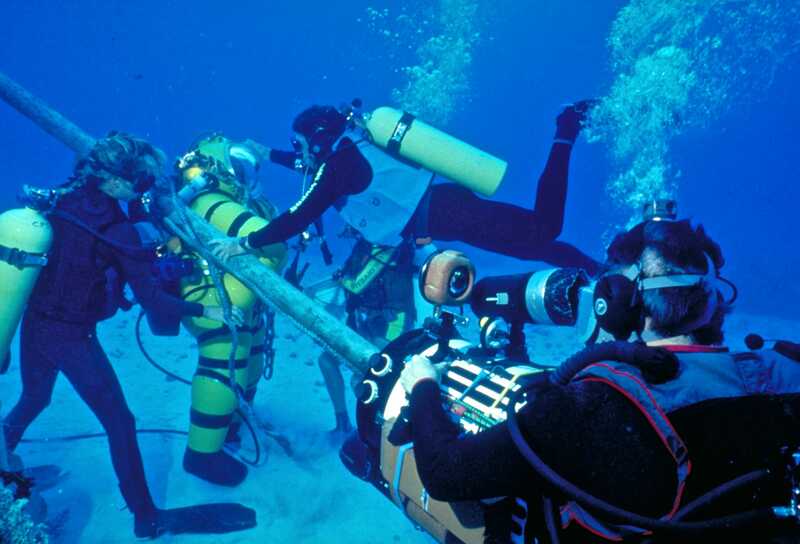 The Volcanoes of the Deep Sea project would turn out to be one of the most challenging films Stephen’s team had ever undertaken. 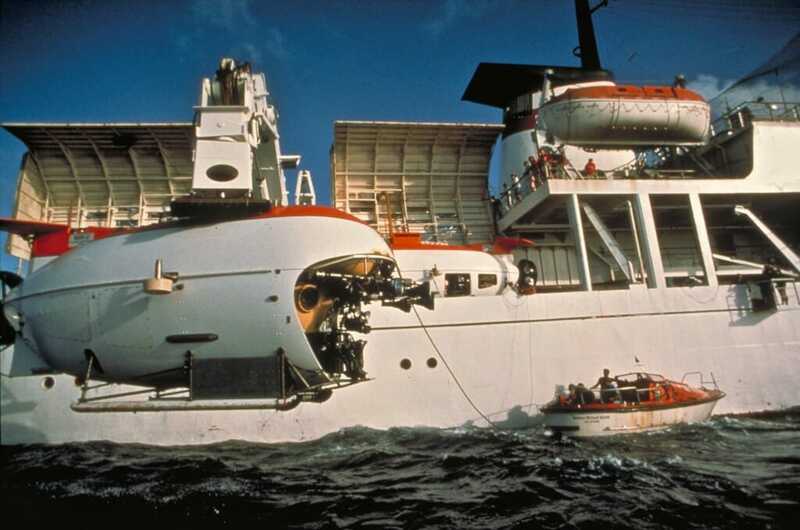 Despite struggling to hold together the project’s financing in the wake of the 9/11 era, the filmmaker was able to lead expeditions to film in a dozen locations, ultimately succeeding in conducting more than 20 deep sea dives and securing unprecedented coverage in both the Atlantic and Pacific oceans. Revealed by the team’s advanced lighting system and high-fidelity IMAX camera were astoundingly dense communities of giant tube worms and swarms of shrimp subsisting along the flanks of great chimneys (“black smokers”) that spewed toxic superheated fluids. A scene from Volcanoes of the Deep Sea aboard the research vessel Atlantis. Left to right: Rich Lutz, the project’s chief scientist (Rutgers University); Dolf Seilacher, palaeontologist (University of Tubingen); Peter Rona, geologist (Rutgers University). Volcanoes of the Deep Sea would feature research by German paleontologist Dolf Seilacher (University of Tübingen), geologist Dr. Peter Rona (Rutgers University) and the project’s chief scientist and biologist Dr. Richard Lutz (Rutgers University), as well as the Woods Hole Oceangraphic Research Institute’s deep-sea submersible Alvin. The film was released in 2003 with actor Ed Harris narrating. Fighter Pilot: Operation Red Flag hit screens in late 2004 to popular and critical acclaim. The film follows fighter pilots and crews from six nations, including Canada, as they struggle through the largest and most demanding air combat training exercise in the world at Nellis Air Force Base in Nevada. Stephen and his team spent more than two years in negotiations with the US Air Force and others to secure unprecedented access to this event. The final film combined stunning live-action filming as well as special effects scenes and a score by composer Michel Cusson to deliver a soaring, nail-biting experience of aerial combat. 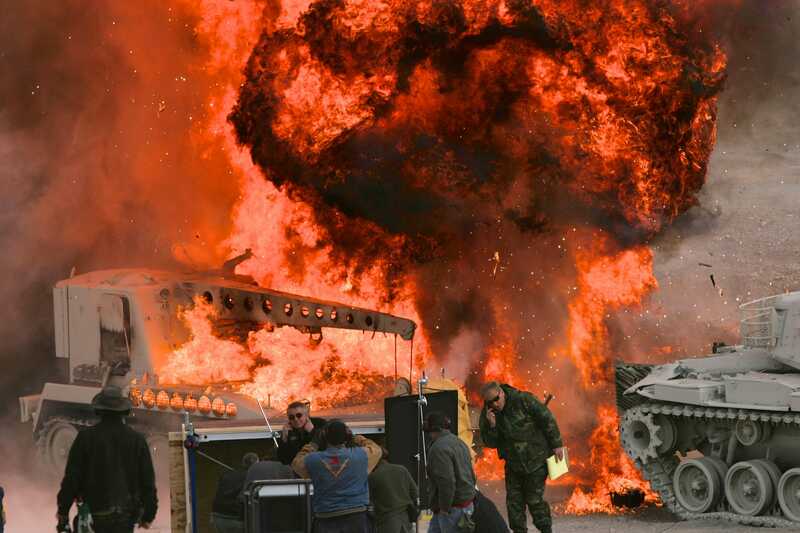 Director and crew ‘take fire’ during filming for Fighter Pilot: Operation Red Flag. IN ADDITION TO HIS OWN FILMS, Stephen has made important contributions to numerous other projects, including writing the narrative for the IMAX® films Gold Fever and the award winning Jane Goodall’s Wild Chimpanzees and Mysteries of the Great Lakes—films directed by doc-maker David Lickley and produced out of the Sudbury-based museum Science North. Stephen’s successes and reputation for storytelling excellence, together with effective collaborations have enabled him to continue to produce films with diverse funding and partnerships—often taking the filmmaker beyond his country’s borders into new and unique collaborations and bringing his work to new audiences. 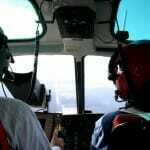 Rescue (2011) a 3D film for IMAX screens, focuses on the Haiti earthquake and the work of civilians and military actors engaged in global disaster response, including the Royal Canadian Navy and the U.S. Air Force. 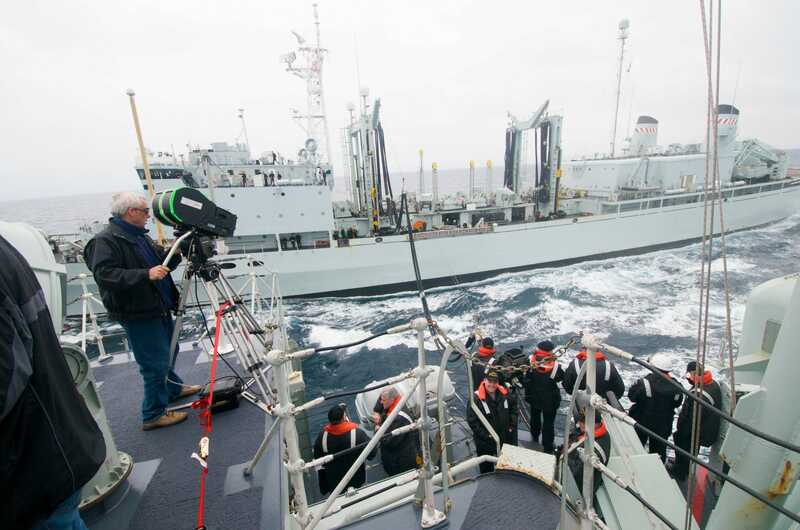 Filming with the Royal Canadian Navy aboard HMCS Athabaskan during production of Rescue 3D. Rescue crew members and supporters during filming in the aftermath of the Haitian earthquake in 2010. Filming through the cockpit window of the 787 for Legends of Flight. Produced over several years during the development and testing of the 787 Dreamliner, Legends of Flight 3D (2010) explores the evolution of flight—from bi-planes and gliders to vertical-take-off-and-landing craft (VTOL) to a new generation of flying machines shaped with carbon-fiber composites. 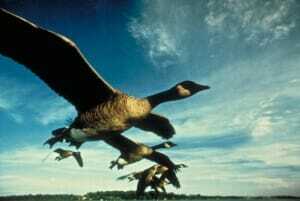 Along the way, audiences soar through the skies, discovering insights from nature’s own flyers. Developed with the collaboration of Boeing, Legends of Flight is exhibited permanently at the Smithsonian National Air and Space Museum in Washington, DC. The Ultimate Wave Tahiti (2010) features nine-time world surfing champion Kelly Slater in a 3D film about the art and science of waves and wave riding. As the surfers hunt for the ultimate wave experience, the film elucidates the physics of wave energy and the creation of breaking waves. 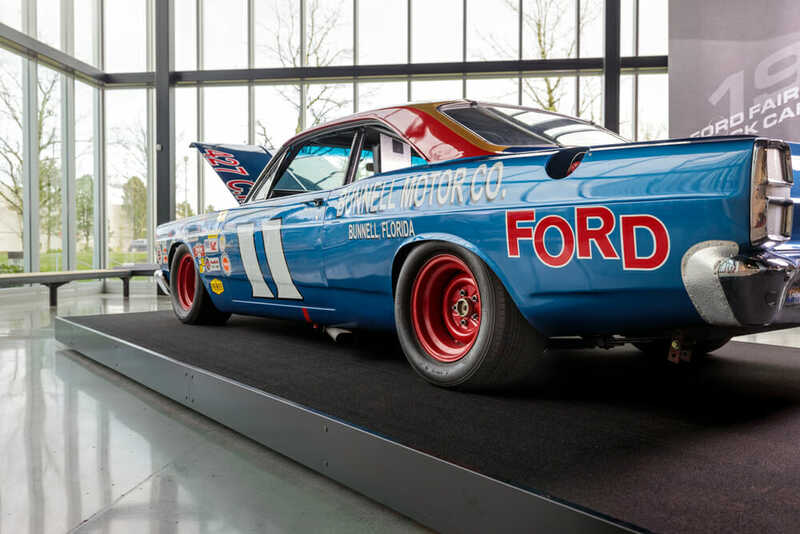 For the project, Stephen’s team took on the challenge of large format filmmaking in big surf head-on and succeeded in putting audiences in the center of the action as never before. 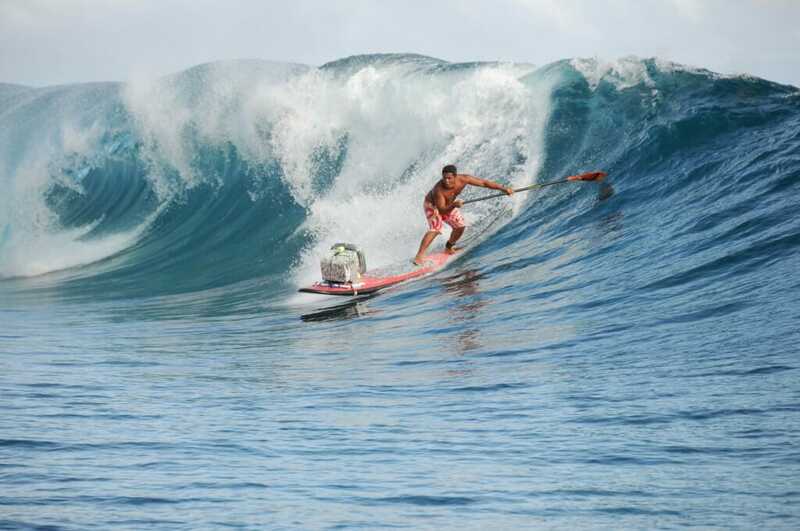 Tahitian surfer Raimana Van Bastolaer rides a surf-cam for The Ultimate Wave Tahiti 3D. 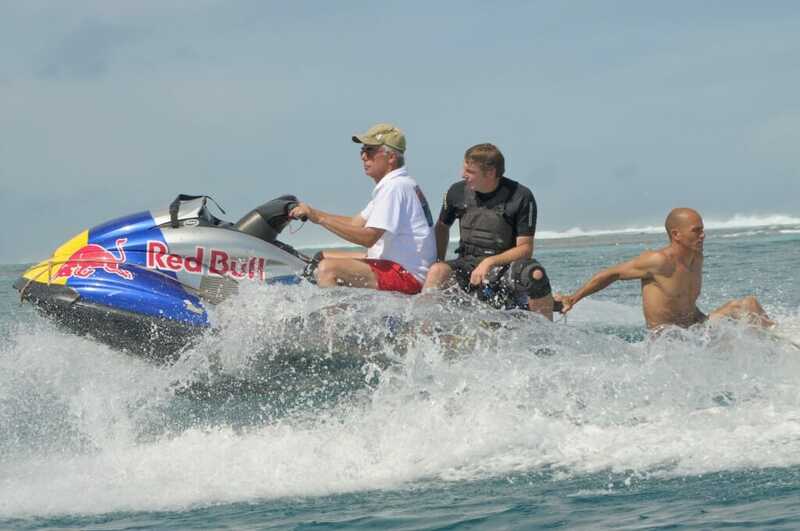 The director with surfing cameraman Mike Prickett and surfing legend Kelly Slater during production of The Ultimate Wave Tahiti 3D. LOW CONSISTENTLY PUSHES THE LIMITS of cinema with his imaginative and powerful films. Stephen’s films are typically character and story driven and ultimately organic. He has a love for and fascination with nature as well a deep appreciation of technology and with the way things work, but his point of view and style of delivery are painterly and romantic. He has a passion for the world around him, for the environment, for character, and always, ultimately, for a good story. He weaves remarkable true stories on the giant screen at the same time as he works to push audiences to places they have never been and perhaps could never go, but for the magic of cinema. IT WASN’T MADE IN A DAY. The award-winning giant screen film Rocky Mountain Express is a culmination of filmmaker Stephen Low’s remarkable 30-year career shaping films for the giant screen. Kindled in childhood, Low’s love of high-fidelity cinema and his fascination with the steam locomotive have come together in a giant screen experience that brings alive the magic and drama of the steam age for audiences of all ages. 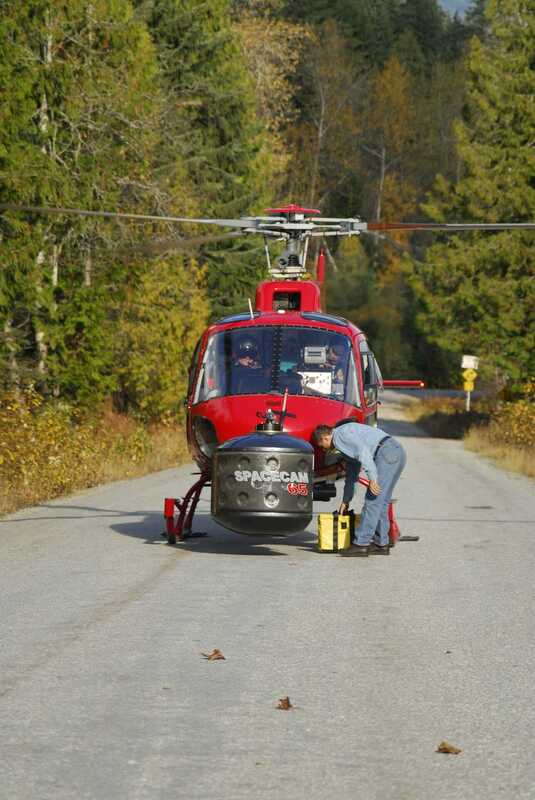 Documented below are key stages of production, including aerial filming and camera mounts. The production was filmed with full 15/65mm negative—world’s largest film format, guaranteeing spectacular image fidelity on the giant screen. 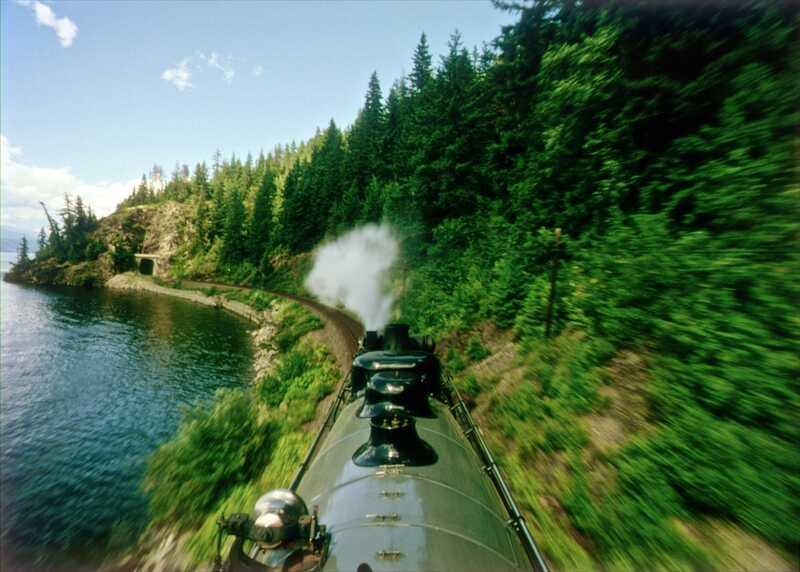 As the film unfolds, the kinetic train journey is punctuated with richly animated 3D maps and lovingly restored archival images that give audiences deep insights into the dramatic story of shaping a transcontinental railway through some of the most beautiful but forbidding terrain on Earth. 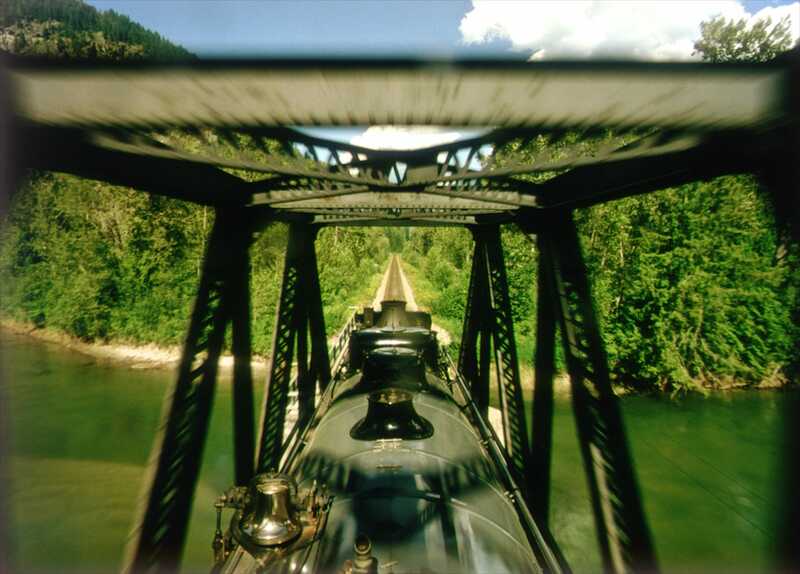 Aerial shooting played a key role in capturing the train journey and the spectacular landscapes in Rocky Mountain Express. 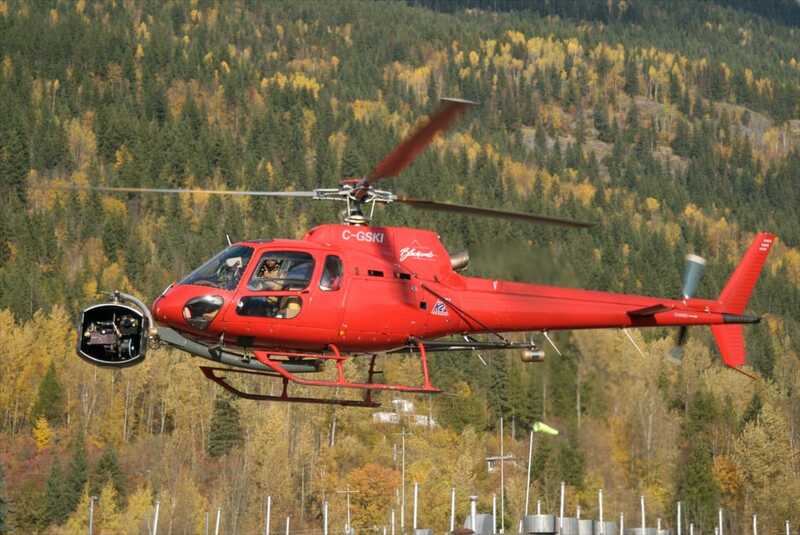 Key to success where a uniquely qualified helicopter pilot, a chopper capable of the lift necessary for work in the mountains and the capable gyrostabilized Spacecam system for filming large-format 65mm negative (70mm film) together with a specialized operator. 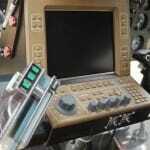 Director, pilot and Spacecam operator. 70mm camera in gyro-stabilized Spacecam mount for helicopter shooting. 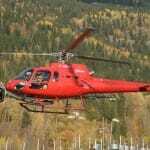 The Chopper used on Rocky Mountain Express is an Aerostar Squirrel. 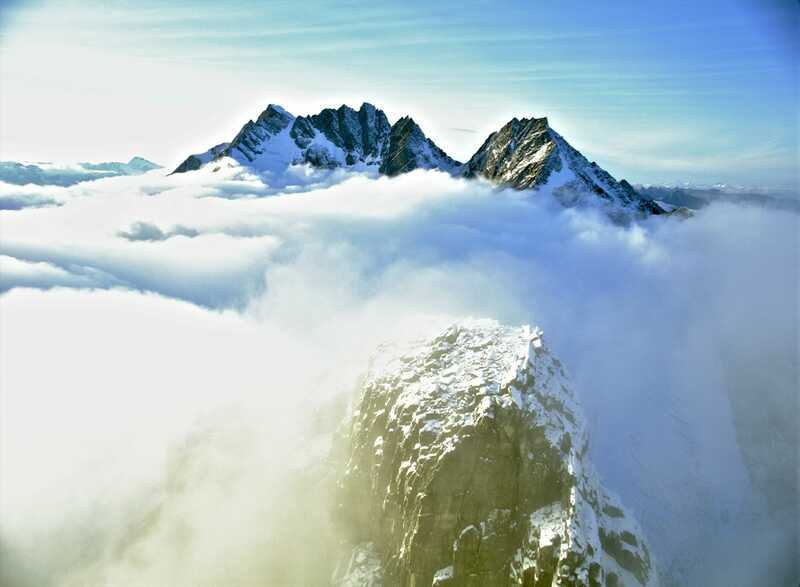 With a single engine it has tremendous power to weight capabilities essential in mountain photography. 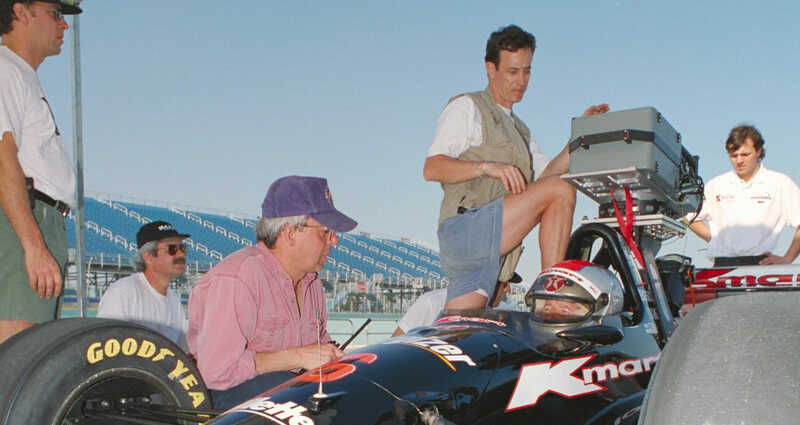 Filmmaker Stephen Low (left) with pilot and Spacecam camera operator. 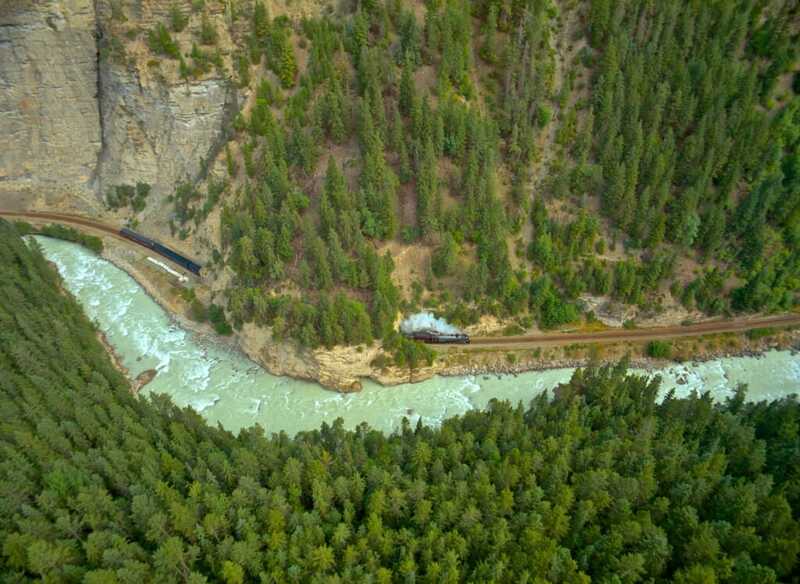 Deep in the Fraser Canyon, Locomotive 2816 and its trainset snake through tunnels and along steep river embankments, in a scene from Rocky Mountain Express. Pilot Steve Flynn (on the right in red jacket) is one of the best cinema pilots in the world and a key to amazing photography and the film crew’s survival both. 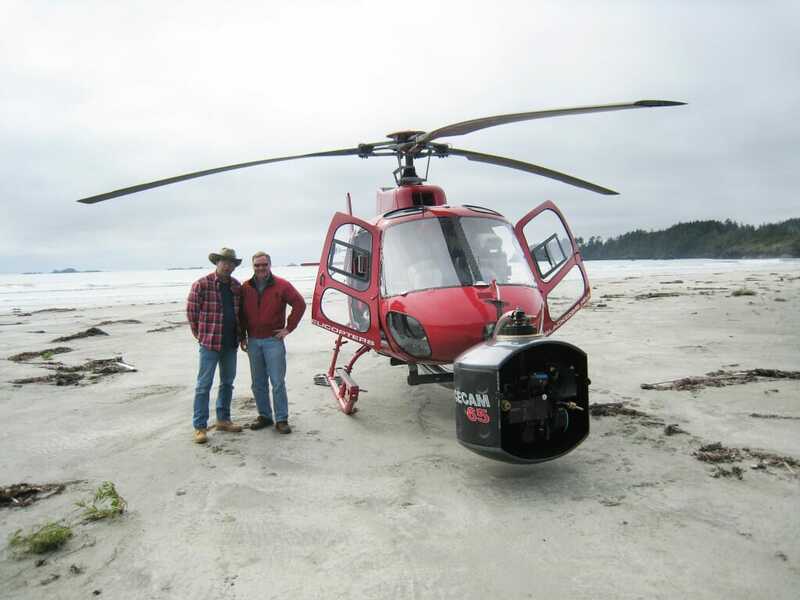 With a gyro-stabilized camera system controlled from inside the helicopter by the superb operator-DOP Ralph Mendoza (Shown on the left in cowboy hat) the possibilities are almost limitless. 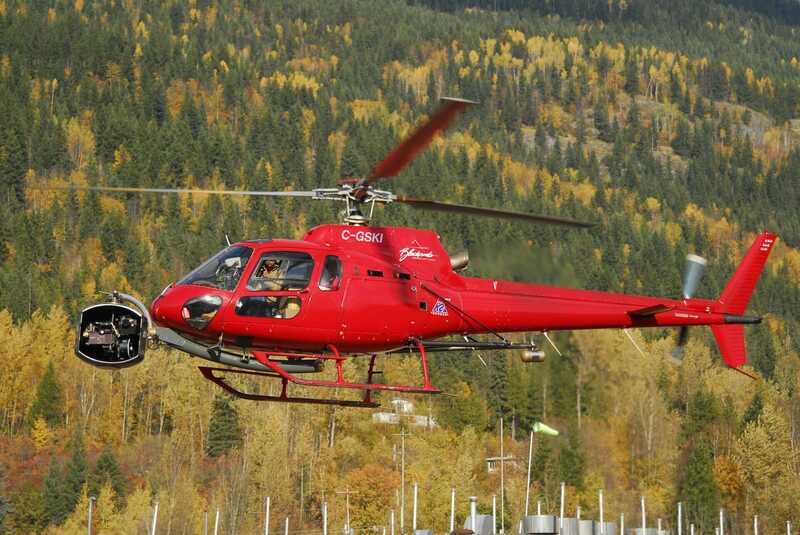 The production helicopter equipped with an IMAX camera in gyro-stabiliized housing by Spacecam. 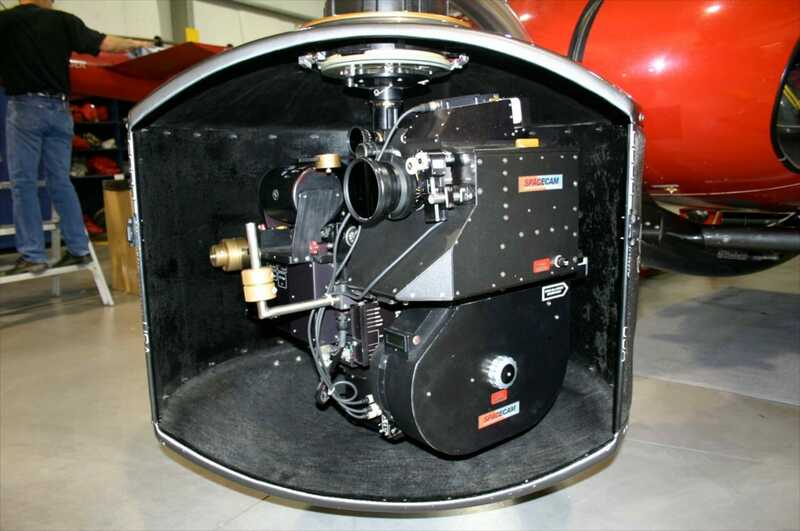 The extraordinary system uses a large format, full negative, 15perf /70 mm camera that can be remotely-operated from inside the cockpit. Being gyro-stabilized it is almost completely vibration free. 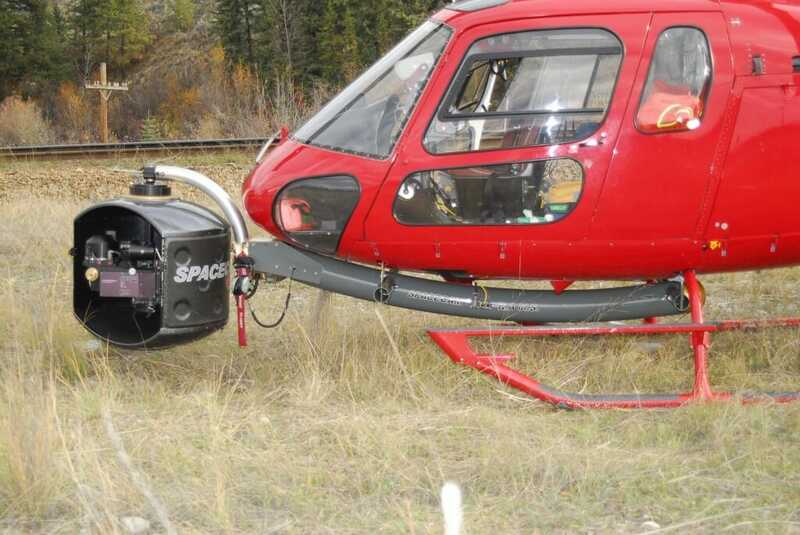 The Spacecam unit is mounted to the underbelly of the chopper. 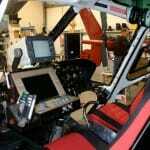 The Spacecam operator sits next to the pilot. 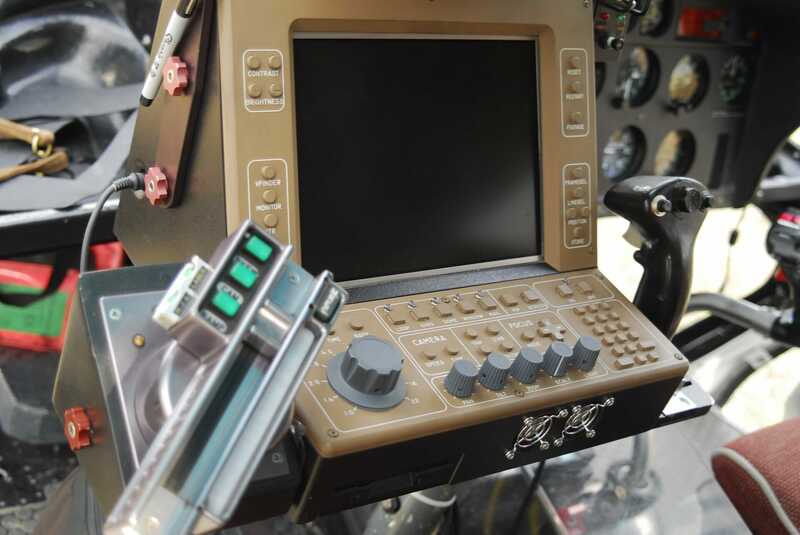 Remote controls enable a wide range of camera motion from inside the cockpit. Standard 1000′ foot loads of 65mm negative run through the camera in 3 minutes, meaning frequent landings for re-loading. 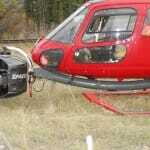 A helicopter shot from Rocky Mountain Express. 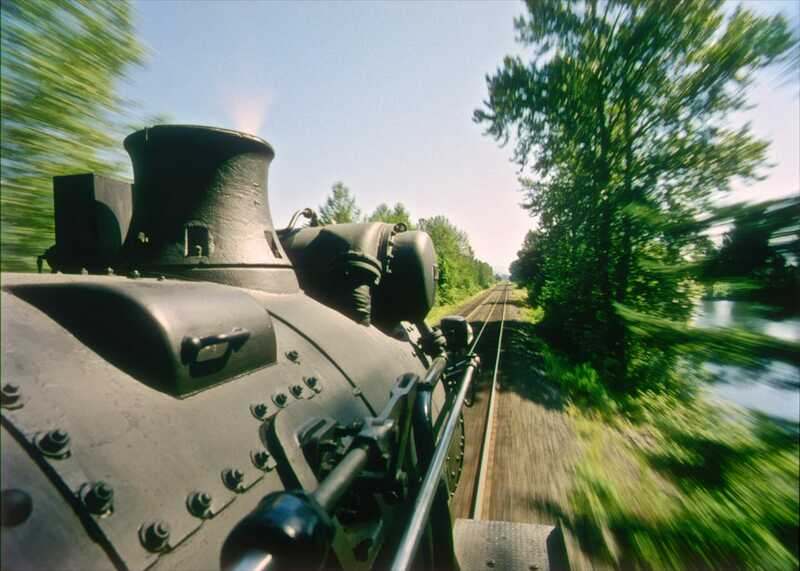 To achieve a truly kinetic “being-there” experience for the giant screen, the camera was mounted on various locations on the locomotive itself: from the cowcatcher on the front of the engine to the driving wheels, to the boiler, cab and tender. Every mounting position on the rugged, smoke-belching beast poses its own unique challenges. 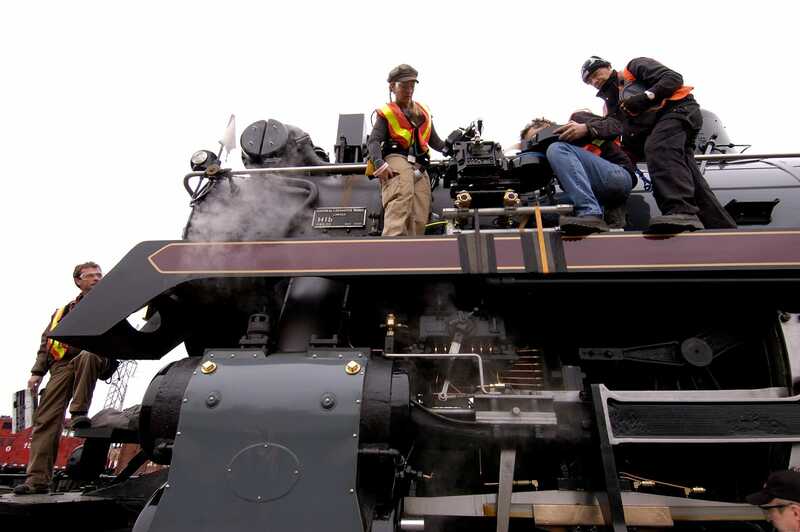 Mounting the camera on different points of the locomotive, means building and installing unique mounts for each placement, often in situ and under pressure. 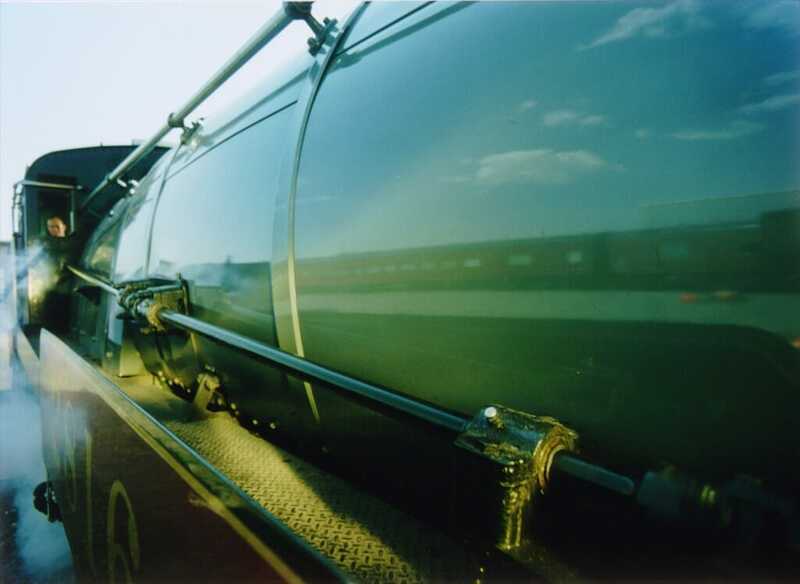 The crew is always aware that the train, operating on mainline track, is subject to the critical scheduling requirements of the railway and the big freight trains that must pass on the same rails. Add to this: changing weather conditions and sunlight and the need to stop the train and re-load the camera every 3-minutes of shooting and the challenges are appreciable. The further out from the locomotive that the camera is mounted, the greater the moment and the more violently the camera is thrown about. The IMAX® camera mounted on 2816 (above). The locomotive mounts designed and built by Montreal master grip Claude Fortin are extraordinarily rigid and particularly this one—so far out in front of the rough riding locomotive. 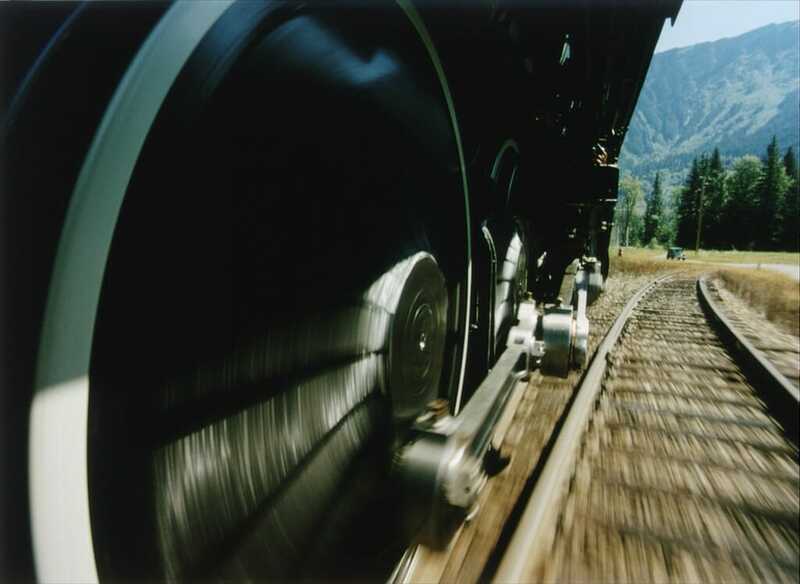 In spite of the superb mounts, filming from out front of the locomotive was restricted to modest acceleration on flat ground. While climbing steep grades under hard acceleration the camera would be nearly torn off and certainly the shots would be unusable. A scene from Rocky Mountain Express. 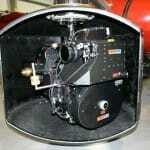 The camera is prepared for a shot forward over the boiler. Grease and water will soon cover the camera and lens and it must be cleaned between shots. Photo: Todd McConnell. 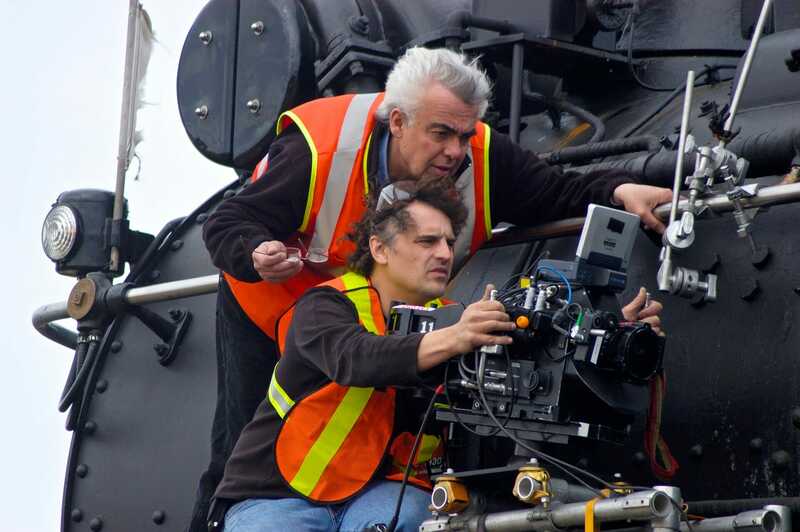 Director Stephen Low prepares a shot on the cab roof of the locomotive. Photo: Todd McConnell. Although the height of the camera was measured carefully to conform with what is called the loading gauge of the railway or the maximum dimensions allowed, the train was stopped in front of the first obstruction encountered just to double check. It fit very tightly. 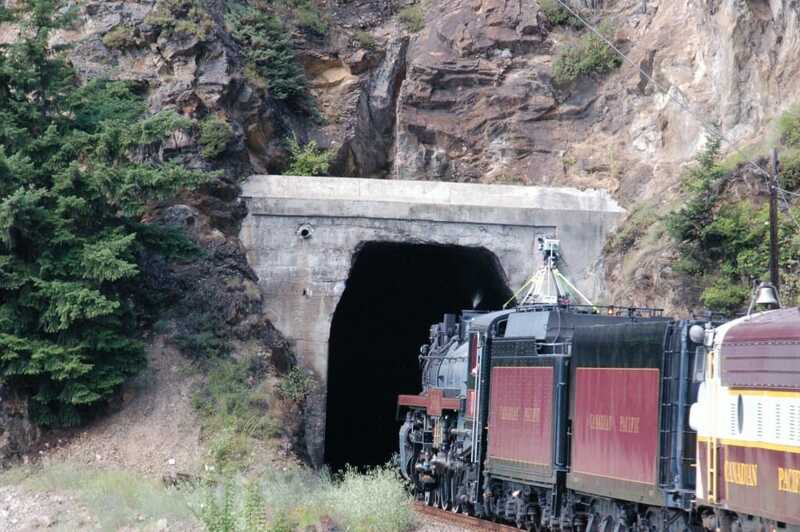 One of the issues with tunnels is that steam locomotives produce powerful exhaust blasts that can loosen decades of built up diesel soot and throw it back on the train and the camera. Photo: Todd McConnell. A frame from Rocky Mountain Express. 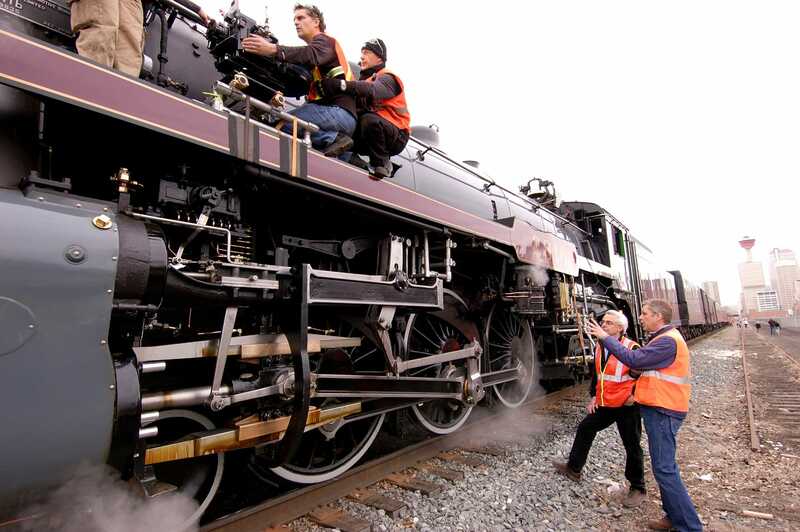 The camera is prepared for a shot looking forward past the locomotive’s giant driving wheels. 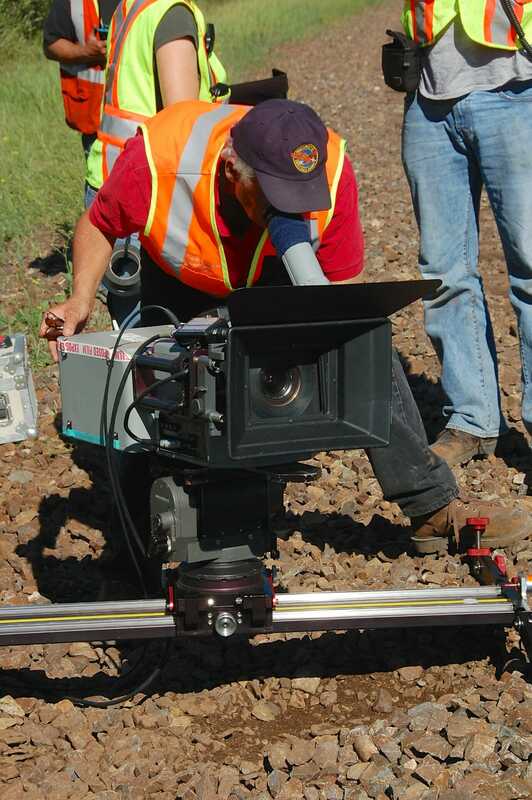 Filmmaker Stephen Low makes adjustments to the camera in preparation for shooting a sequence from behind the driving wheels of the locomotive. 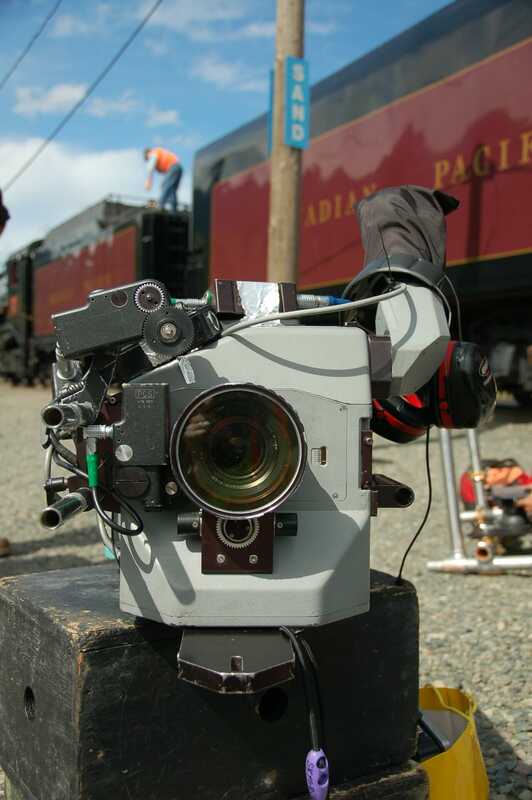 Mounting the camera on a variety of locations on the locomotive offers audiences a unique ‘being there’ experience of railroading that even engineers don’t get to experience—a sense of immediacy, immersion and participation that is the hallmark of a well-crafted big screen experience. 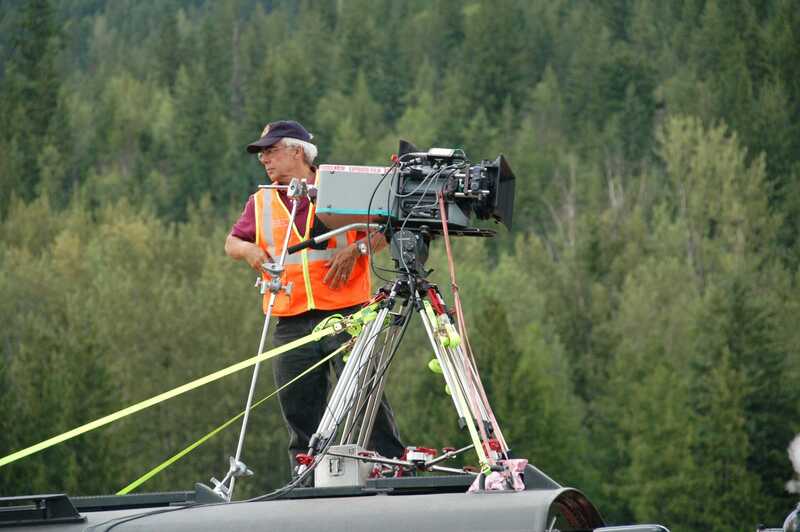 Several hundred pounds of counterweight balance the IMAX camera held aloft on a crane. Photo: Will Allen. 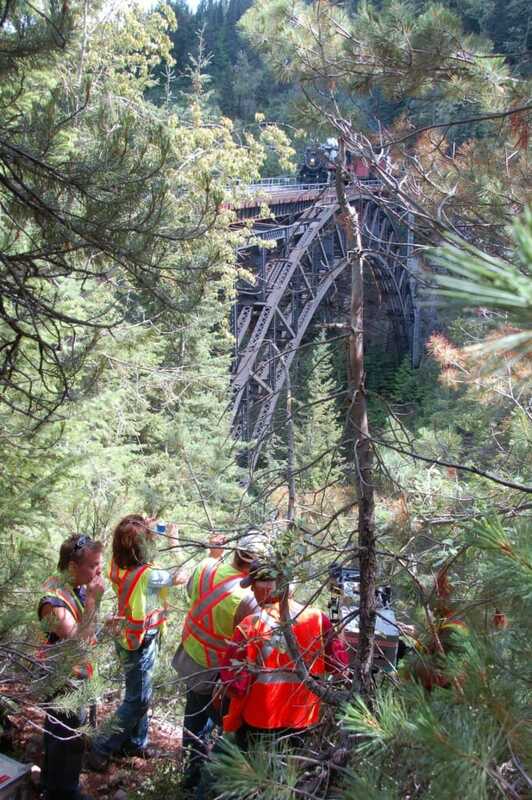 The crew has scrambled up a mountainside to grab a quick shot of the steam train crossing a bridge on the historic route. Photo: Todd McConnell. 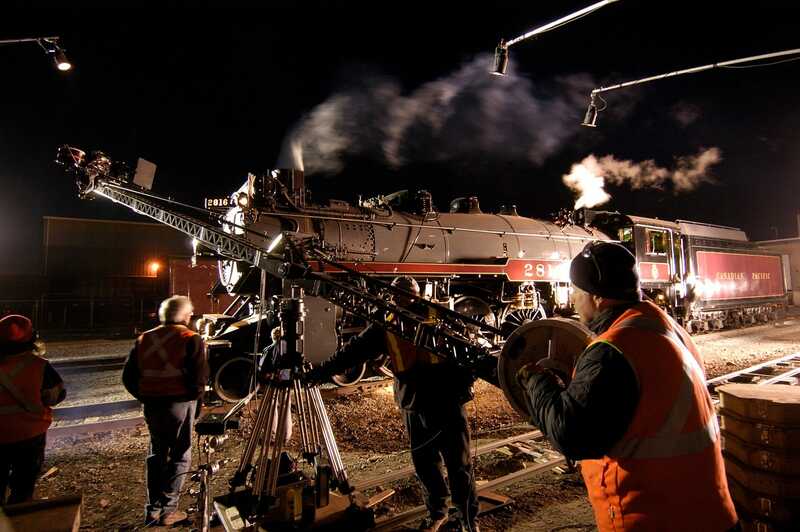 A crane is used to film the arrival of the train at night. 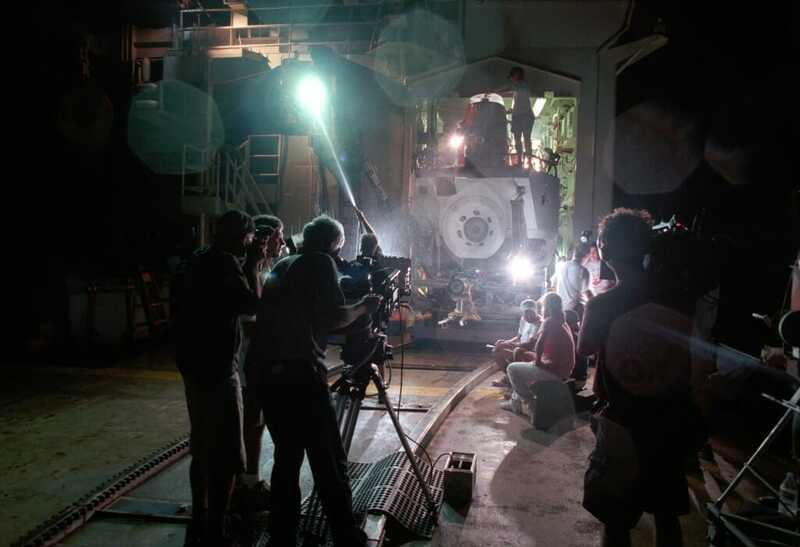 The Imax camera sits on a crane in the foreground as the crew prepares to shoot a night sequence with the engine. Photo: Will Allen. 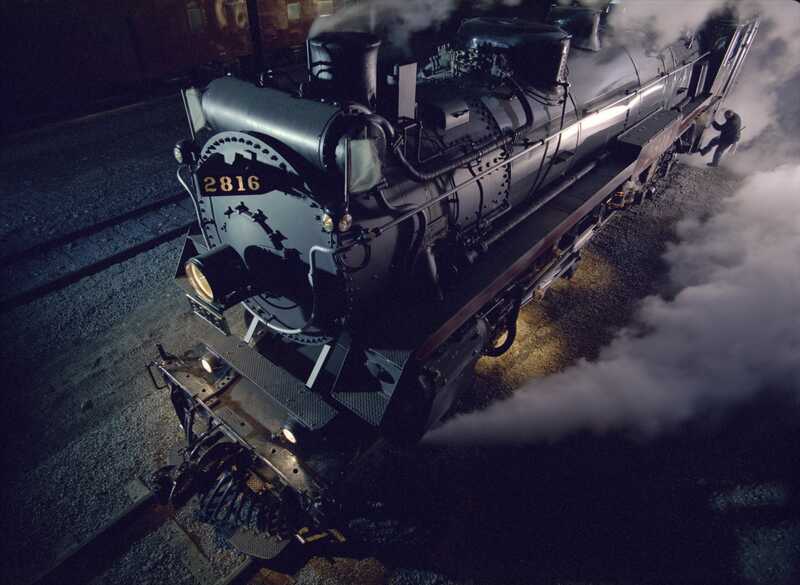 80 years newer than the film’s hero steam locomotive 2816, the diesel locomotive’s horsepower is not much greater. 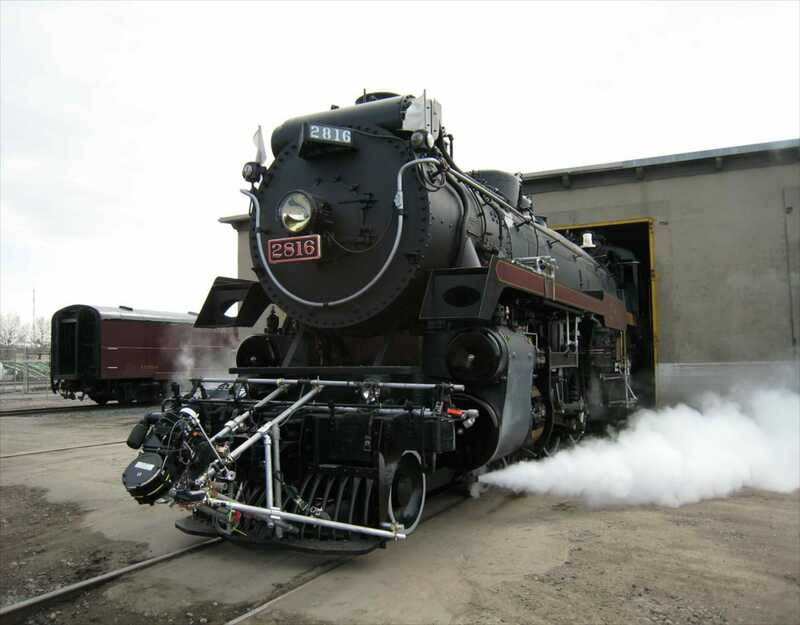 While the diesel generates 4,400 horse power at slower speeds (for lifting heavy freight trains) the steam locomotive was built for speed and fast passenger trains. 2816 regularly traveled over a hundred miles an hour in passenger service. Beyond seventy miles an hour the diesel would be left behind. 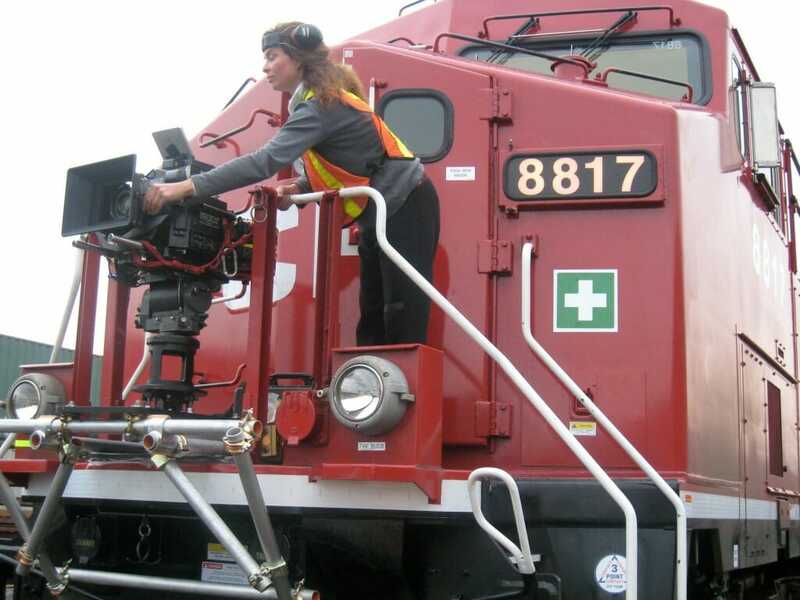 First assistant camera Carla Clarke prepares the Imax camera on the front of a brand new GE diesel locomotive for a sequence in the film. 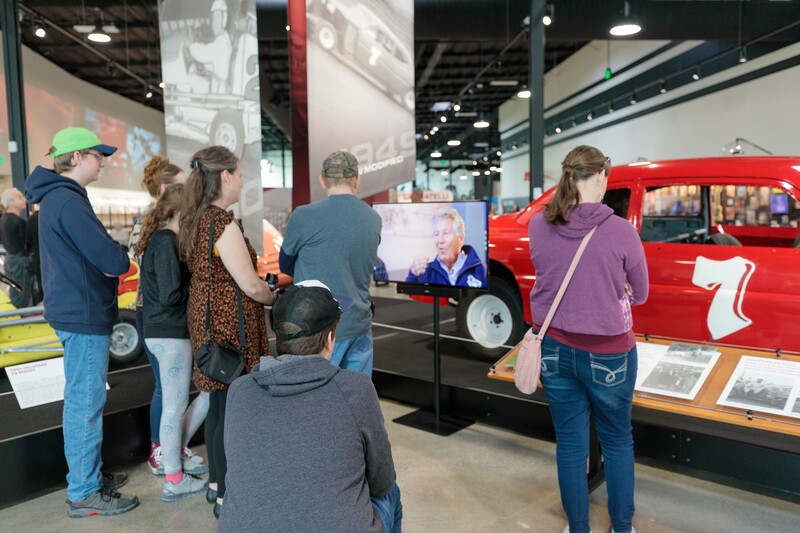 Sound is a vital part of the giant screen experience and the team has carefully and faithfully captured and rendered in six-channel sound the remarkable symphony of sonic moods produced by the locomotive. 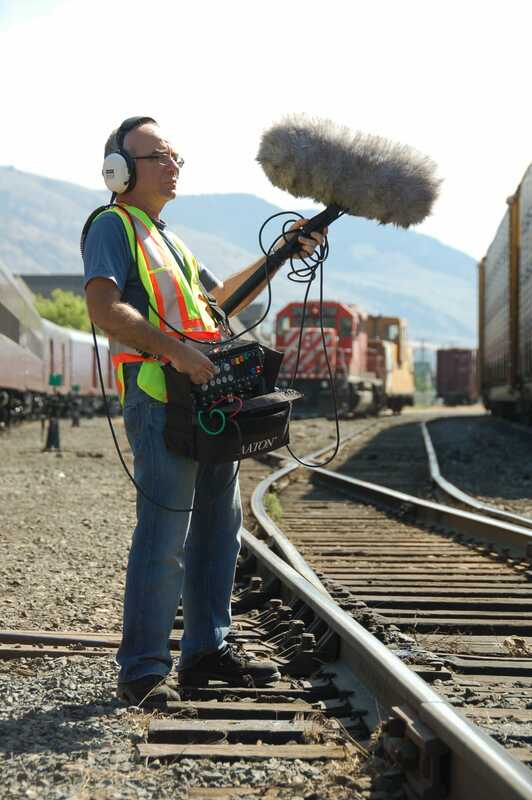 Sound recordist Thierry Morlaas-Lurbe captures ambient live locomotive sound in the yards. 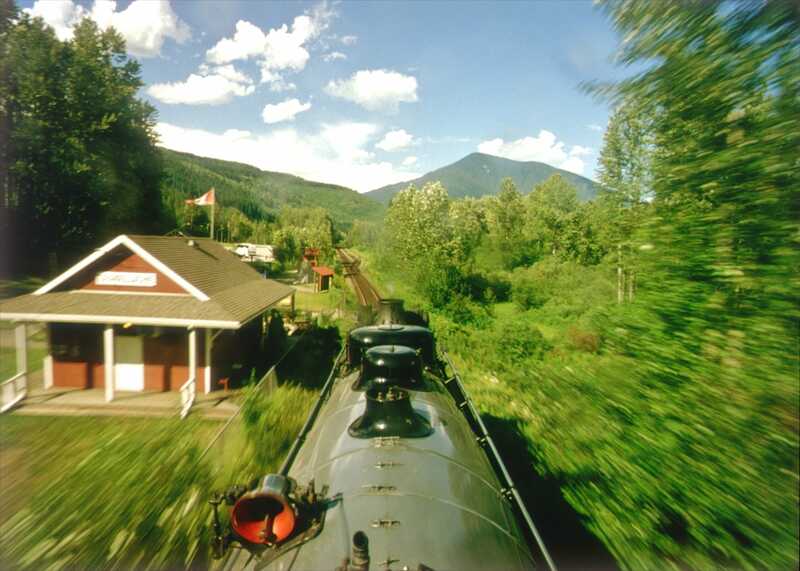 A special excursion was devoted just to capture the sound of the train. Recordist Thierry Morlass-Lurbe rigged the 2816 locomotive with microphones to capture all the rhythms and moods of the great machine and its mountain journey. 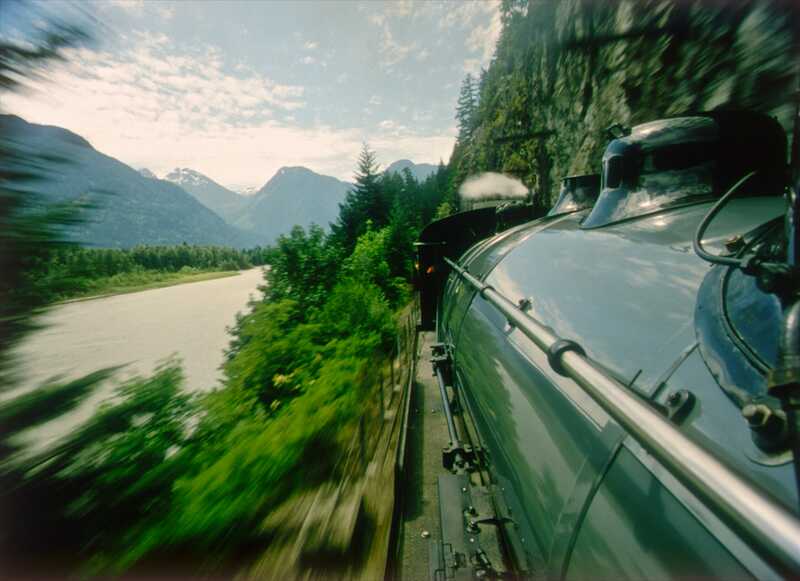 The sounds of a steam journey were then matched with an original musical score by celebrated composer Michel Cusson and a soundscape designed by Peter Thillaye leading a sound mixing team. The film was ultimately honoured with an award for Best Sound Editing, Special Venue at the MPSE Golden Reel Awards in 2012. 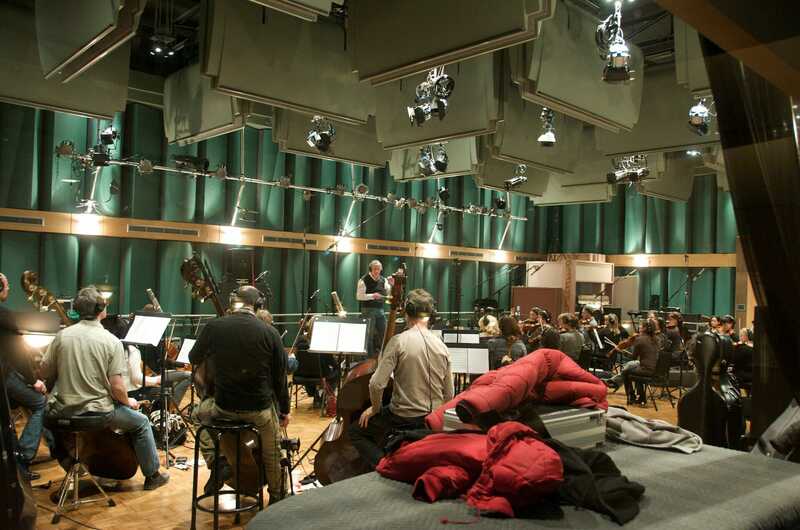 A music recording session (strings) for the giant screen. 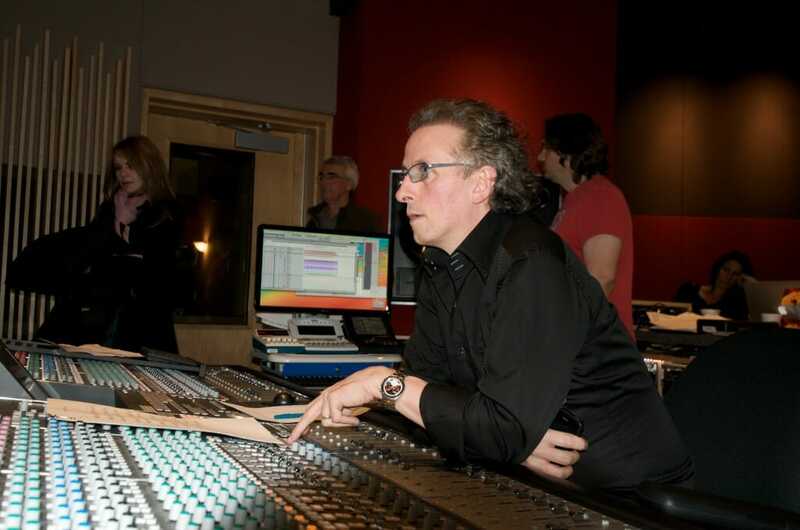 Composer Michel Cusson at the console during orchestra recording. 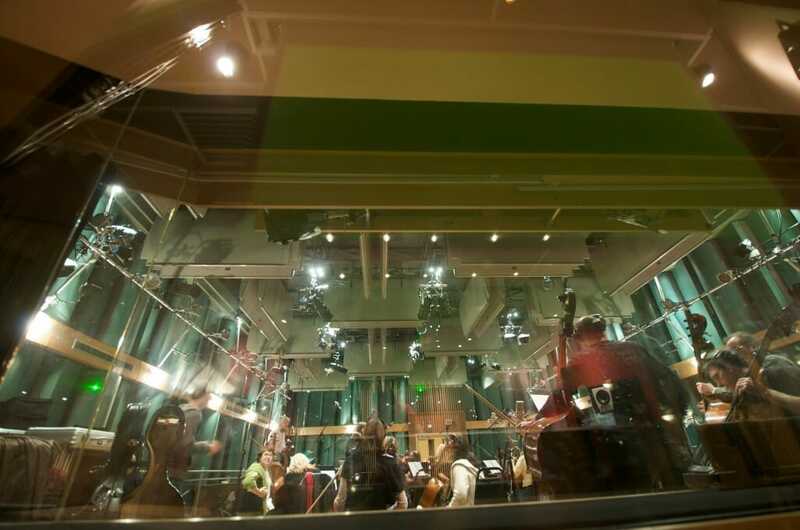 The view from the mixing booth: a string recording session unfolds. 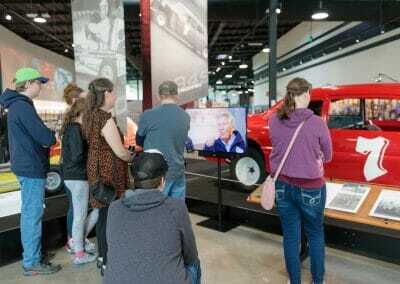 Creating a film on the scale of Rocky Mountain Express is an immense collaborative effort, involving ultimately hundreds of people and organizations. 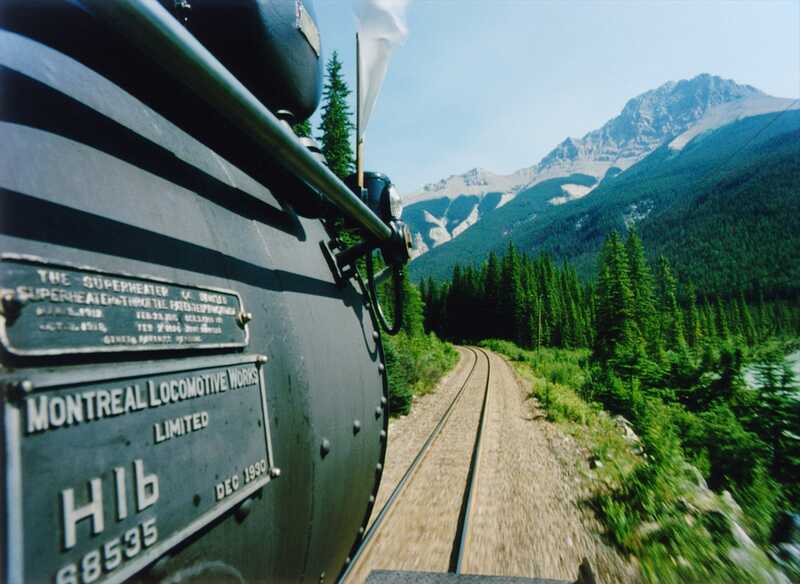 The Canadian Pacific Railway, together with the film crew, post-production personnel and exhibiting theaters all played a role in the success of the film. 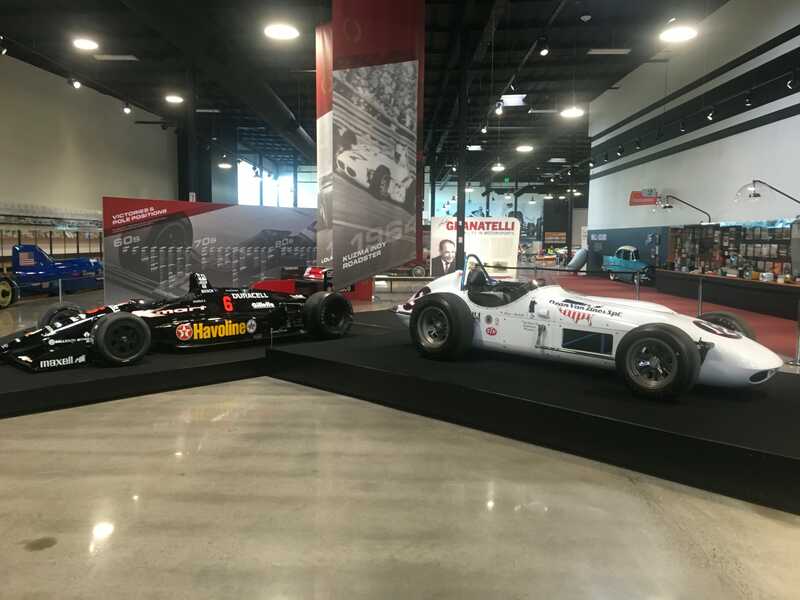 The outcome of the project is a film exhibited around the world, reaching all kinds of audiences—an experience that draws viewers into a shared kinetic journey that elucidates a vanishing piece of history and showcases a remarkable part of the planet. 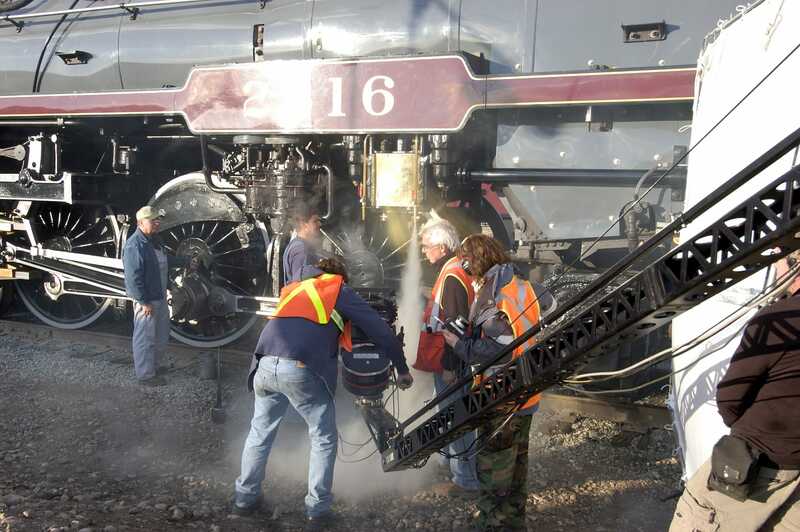 CPR executive Mark Seland (right) discusses a shot with Director Stephen Low as the camera crew prepares the Imax camera on the running board of steam locomotive 2816. The extent of cooperation by the railroad in the making of this film was very likely unprecedented in the history of film. 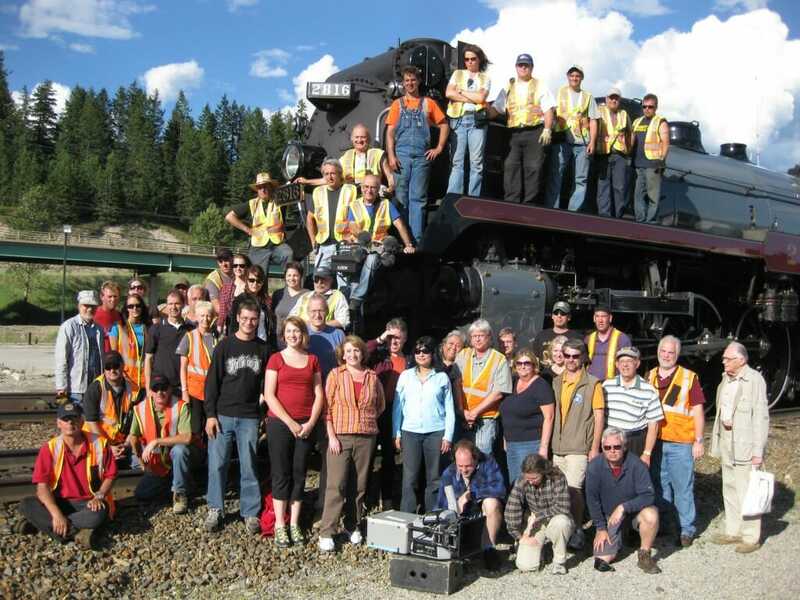 The train crew, production crew and passengers of a production excursion gather around the locomotive. 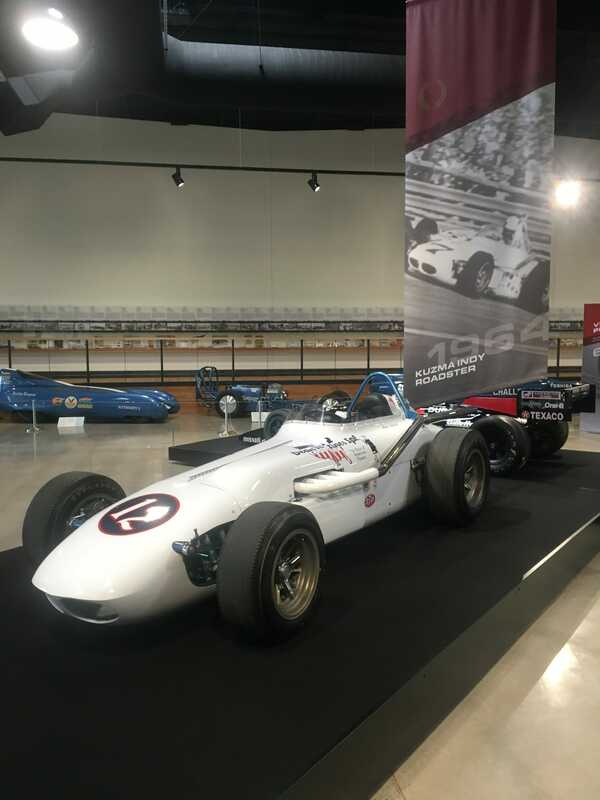 Among the passengers are members of the giant screen exhibition community, representatives of IMAX theater exhibition partners in the Rocky Mountain Express project. For many, it’s a unique opportunity to witness the giant screen filmmaking process first-hand. 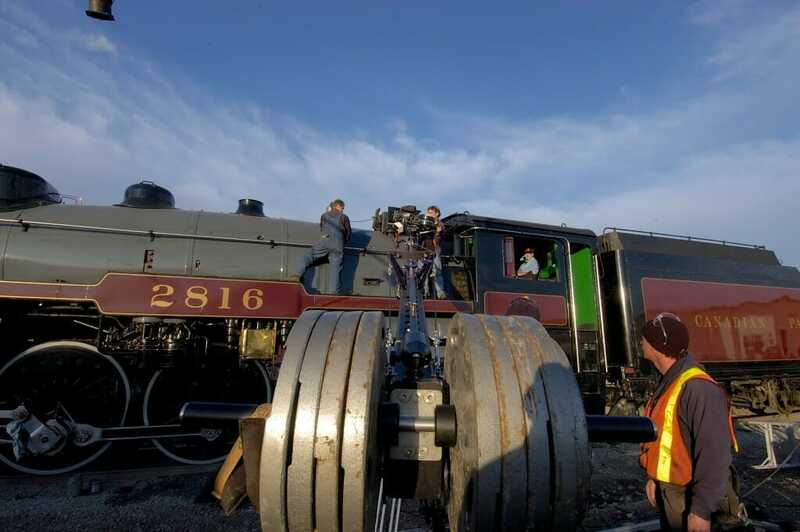 From right to left: Carla Clarke, first assistant camera; Jon Morris Steam locomotive “Hogger” or Engineer; Dillon Reade, camera operator and; Stephen Low, Director. 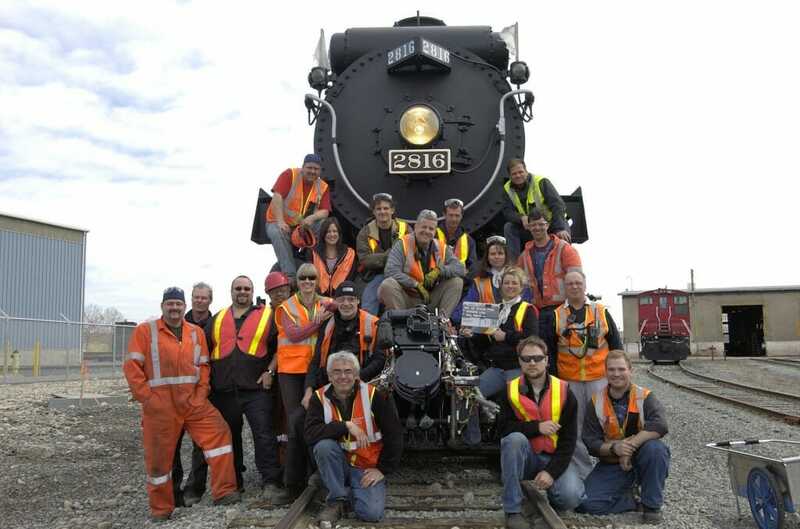 The Imax crew poses with steam crew. It doesn’t take long before everyone is equally coated in soot and grease. 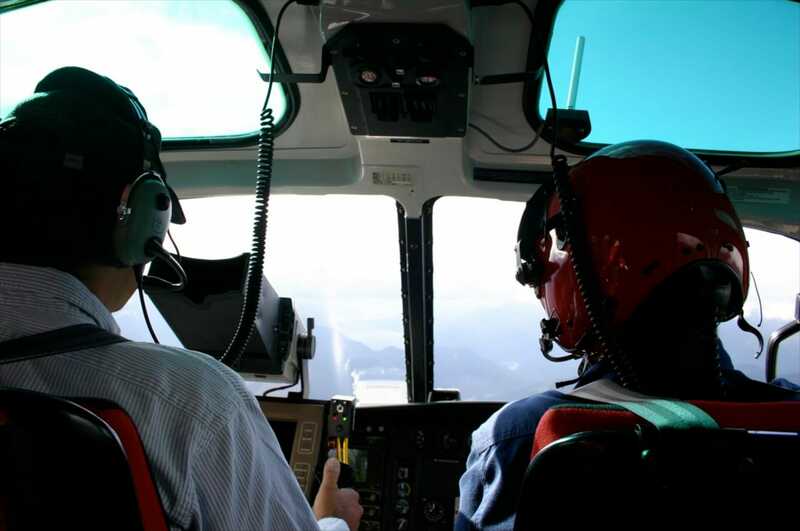 The hugely positive audience response to Rocky Mountain Express has seen the film exhibited around the world from Singapore to Switzerland, from Melbourne to Paris and The Hague. Uniquely, it’s a giant screen film that many audience members report seeing more than once. 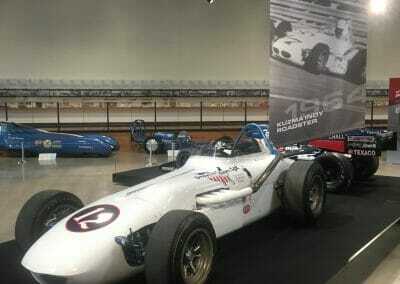 Rocky Mountain Express at the Bullock Museum in Texas. 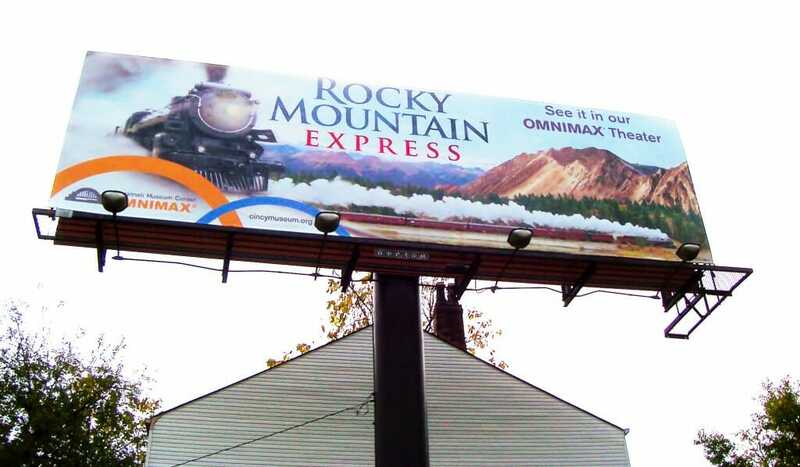 A Rocky Mountain Express billboard in Cincinnati, OH.